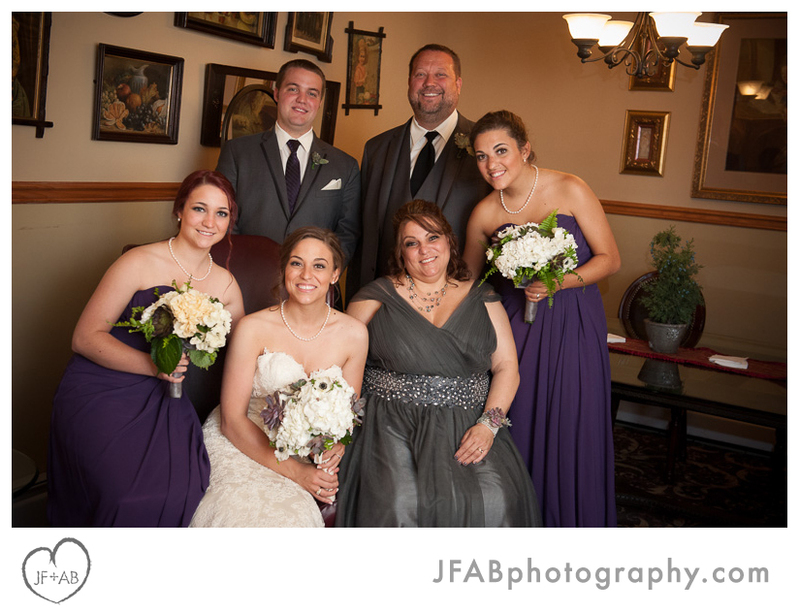 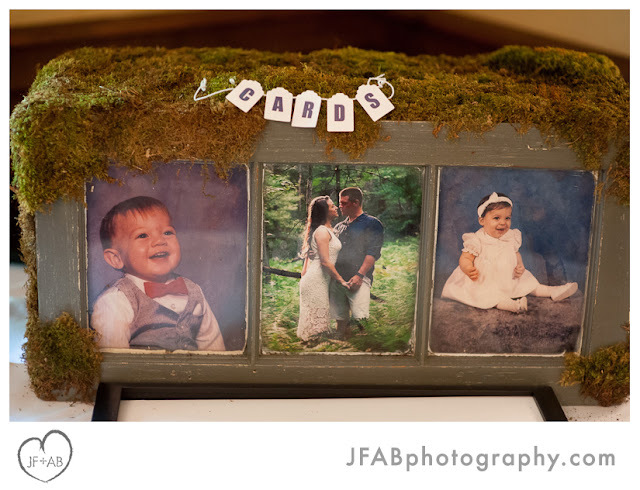 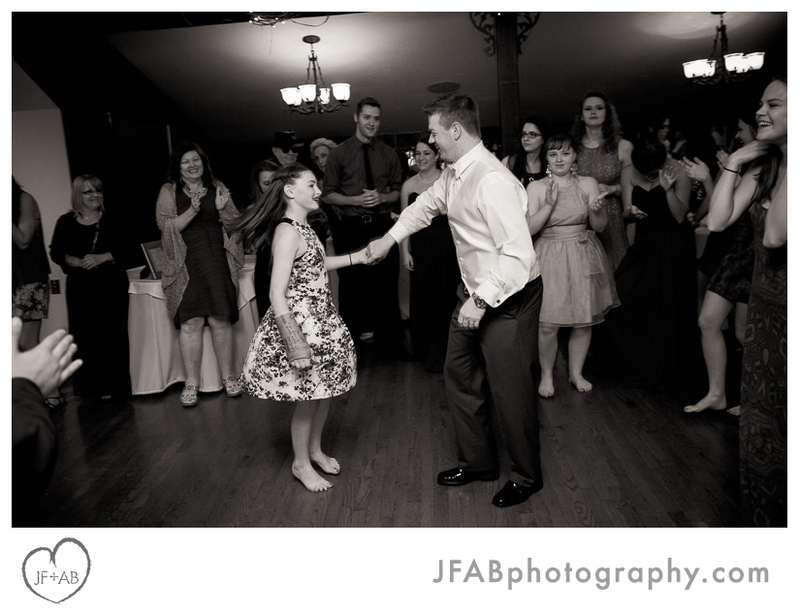 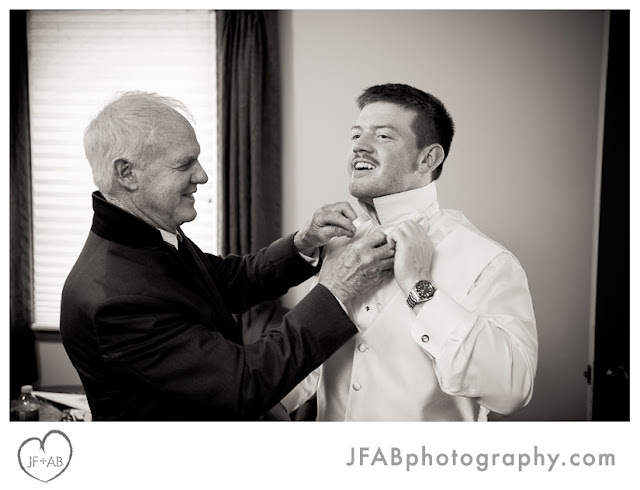 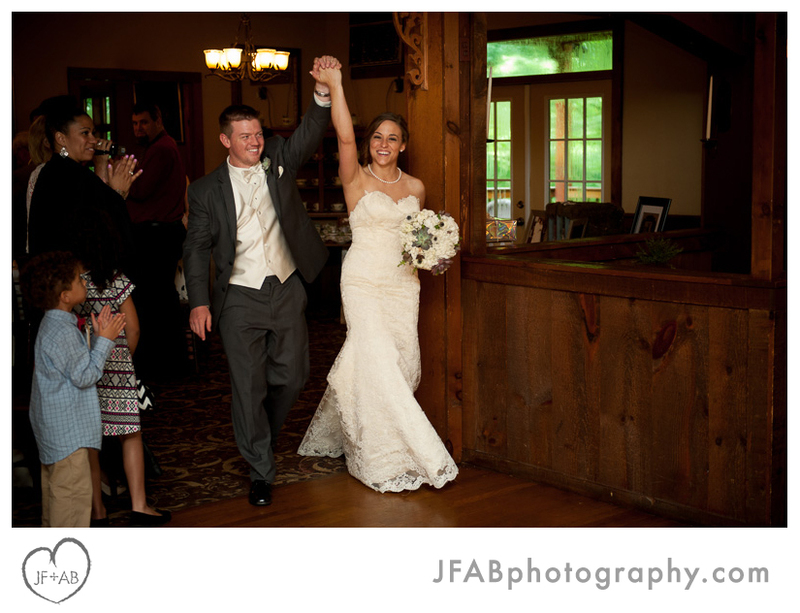 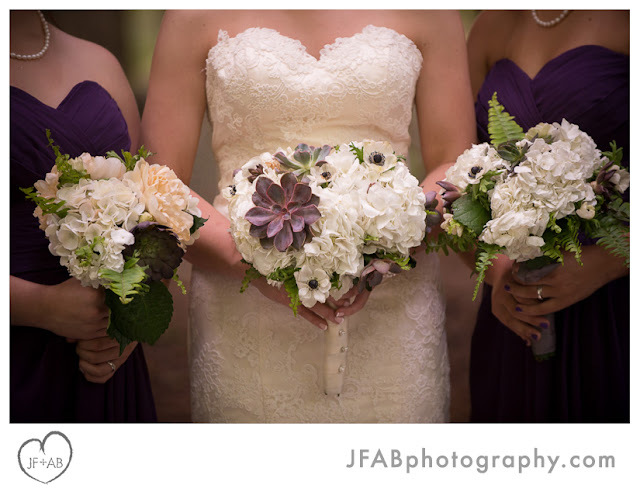 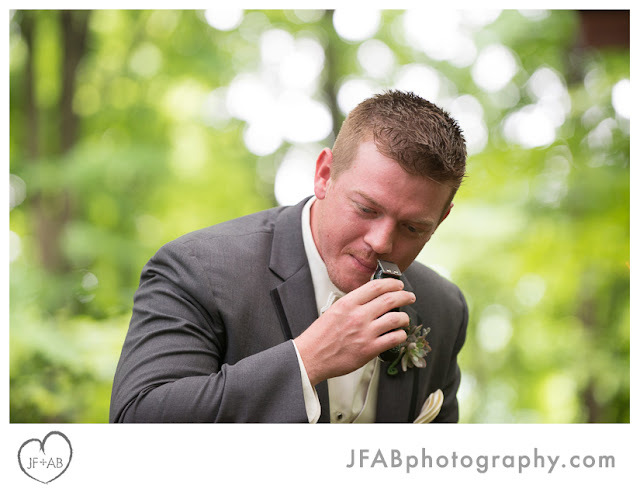 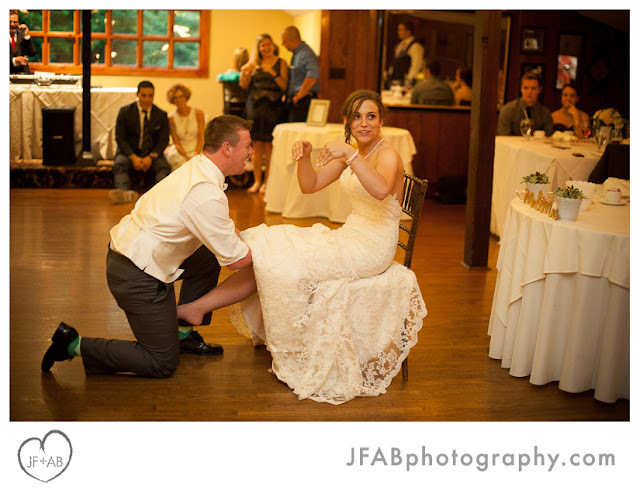 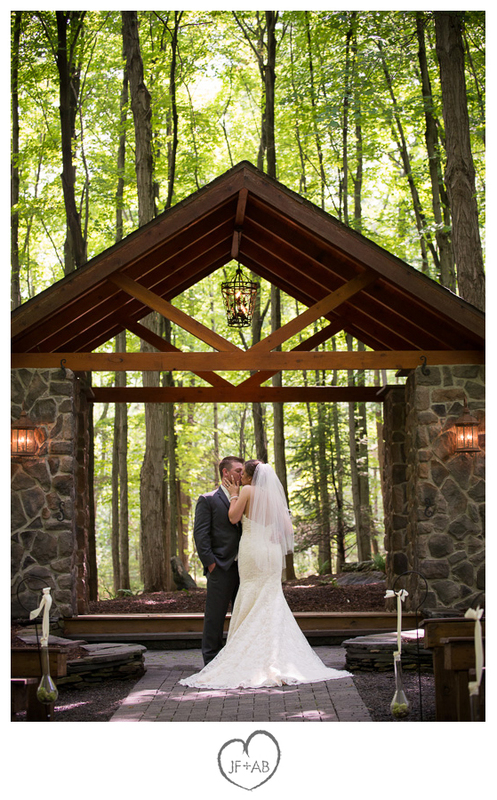 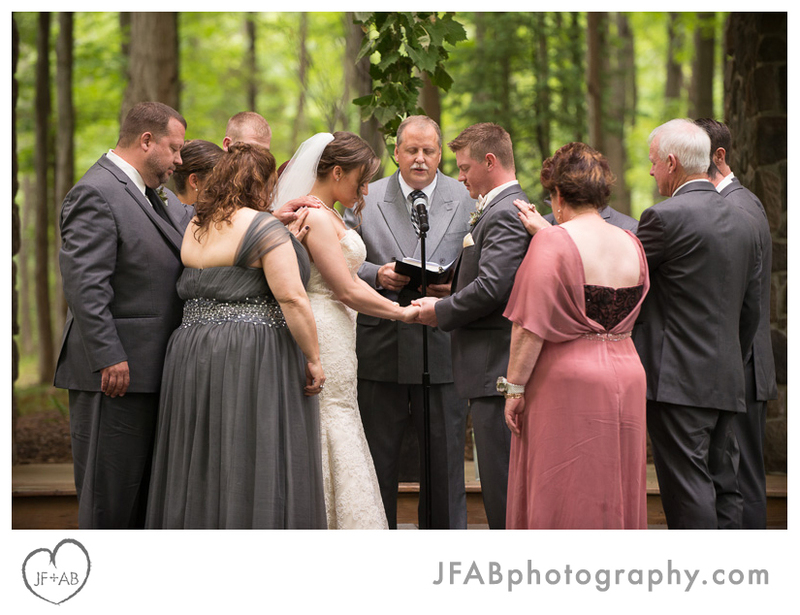 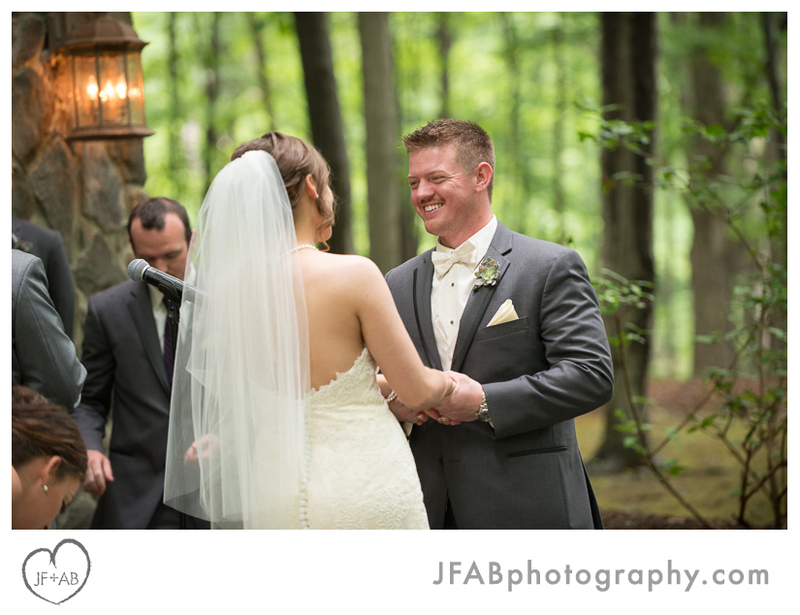 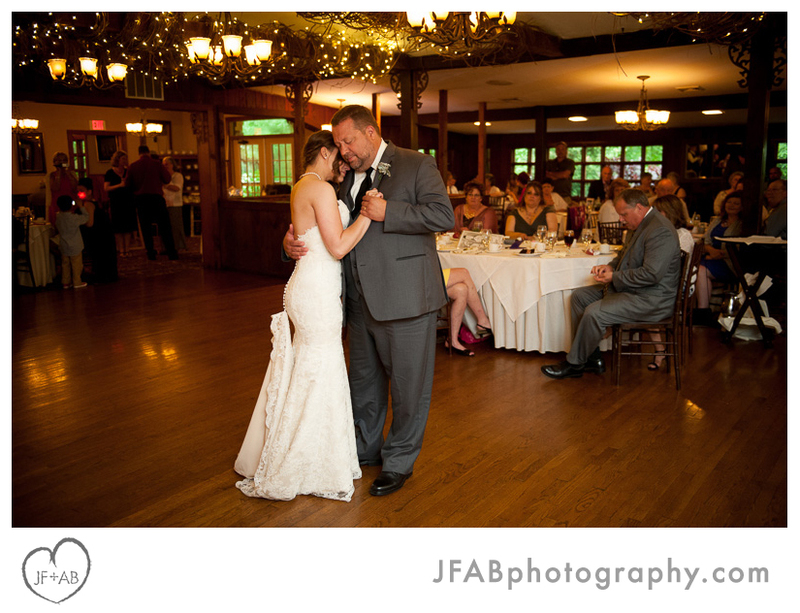 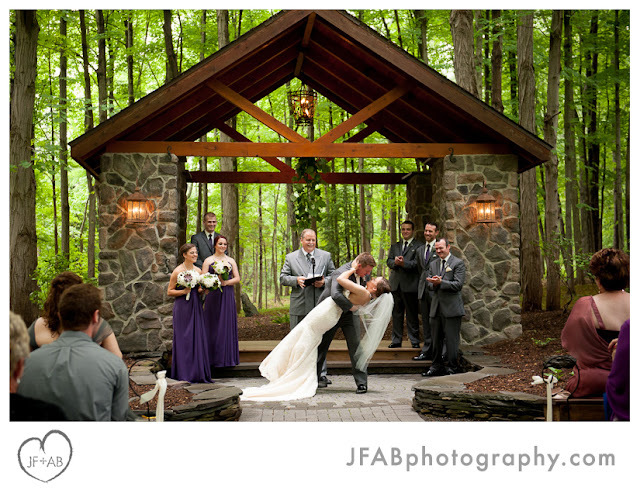 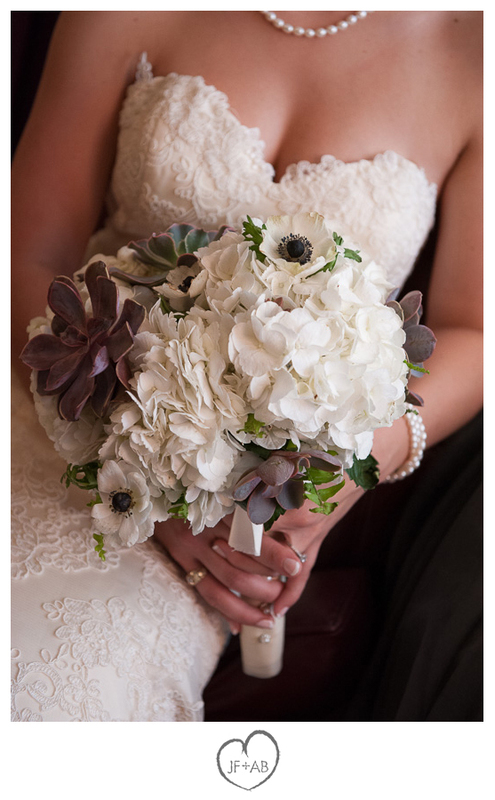 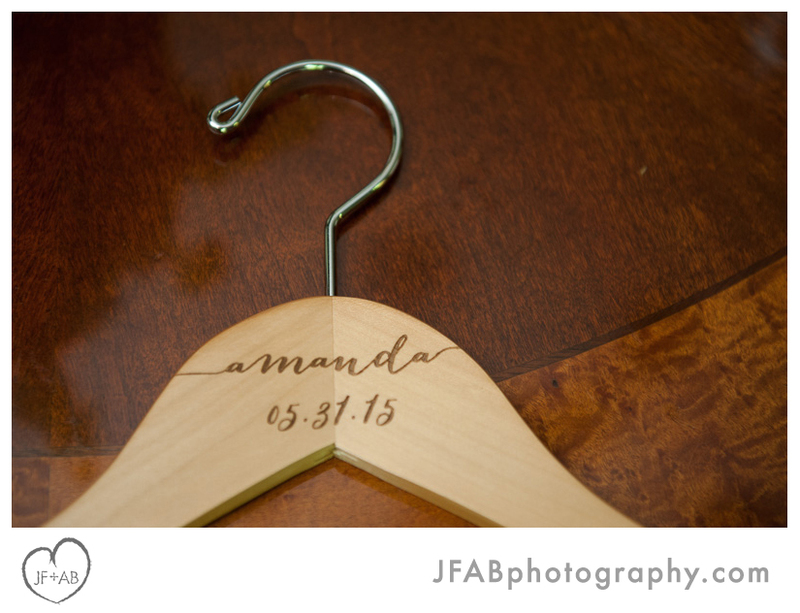 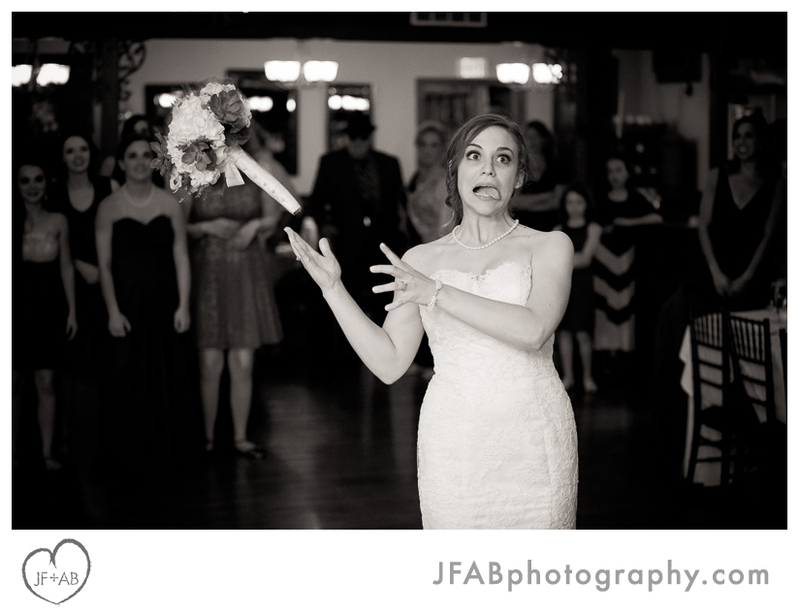 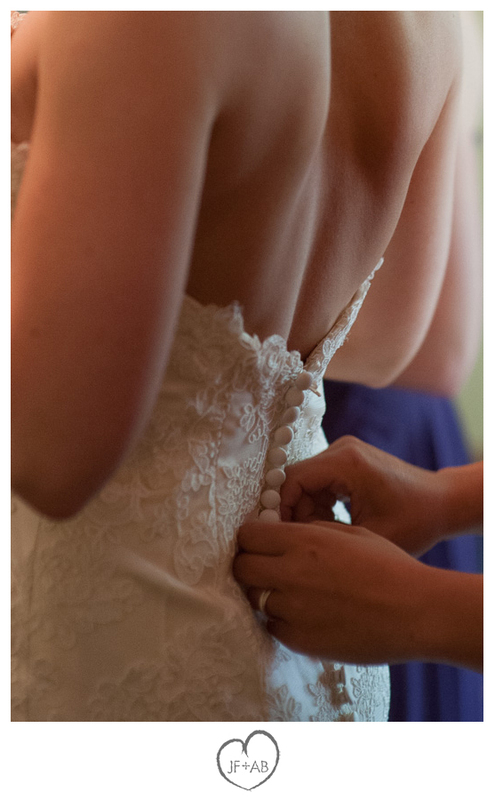 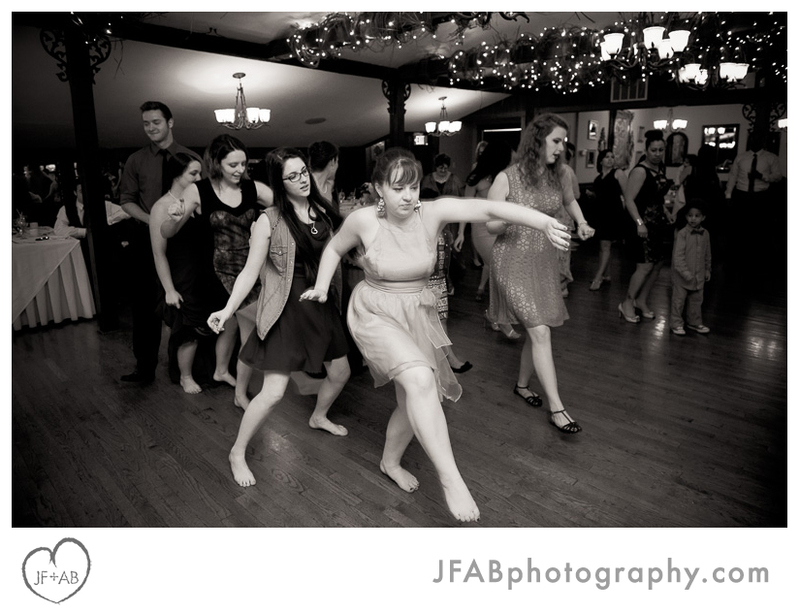 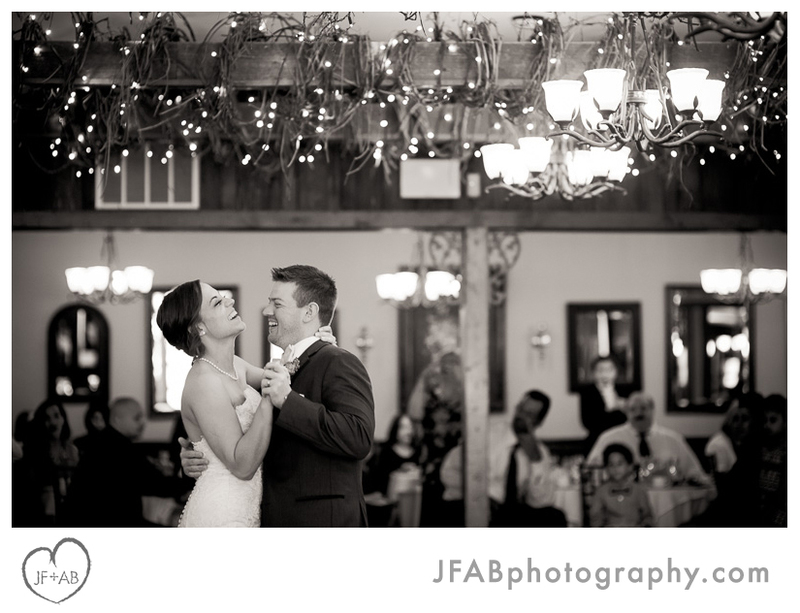 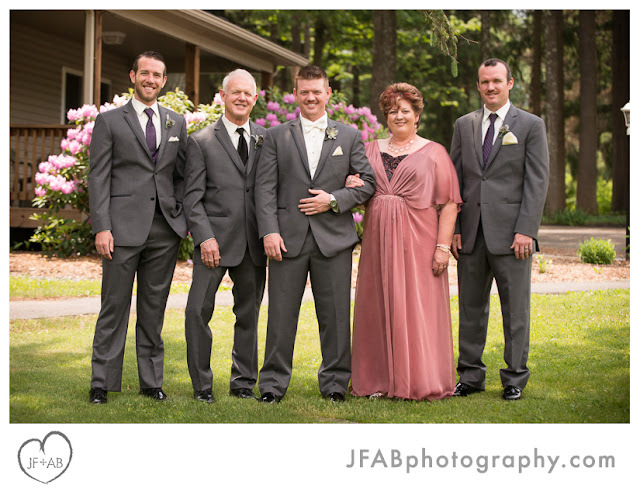 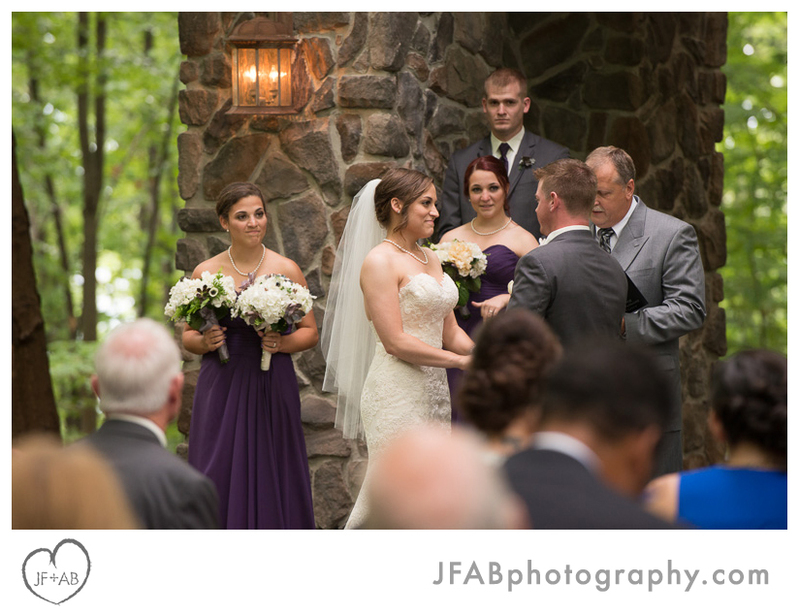 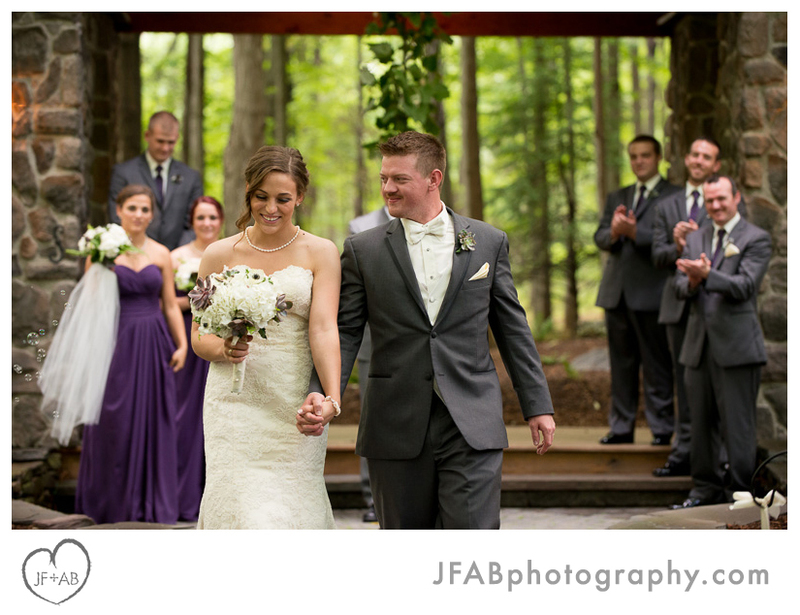 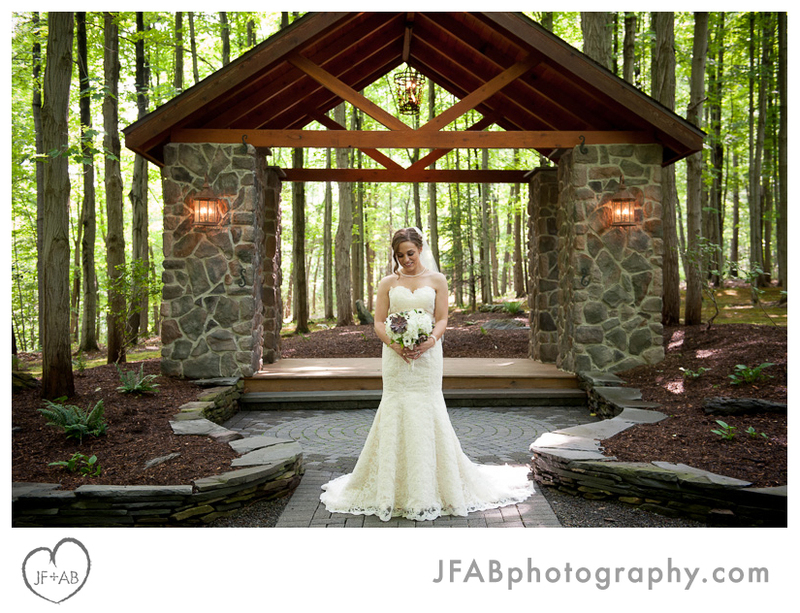 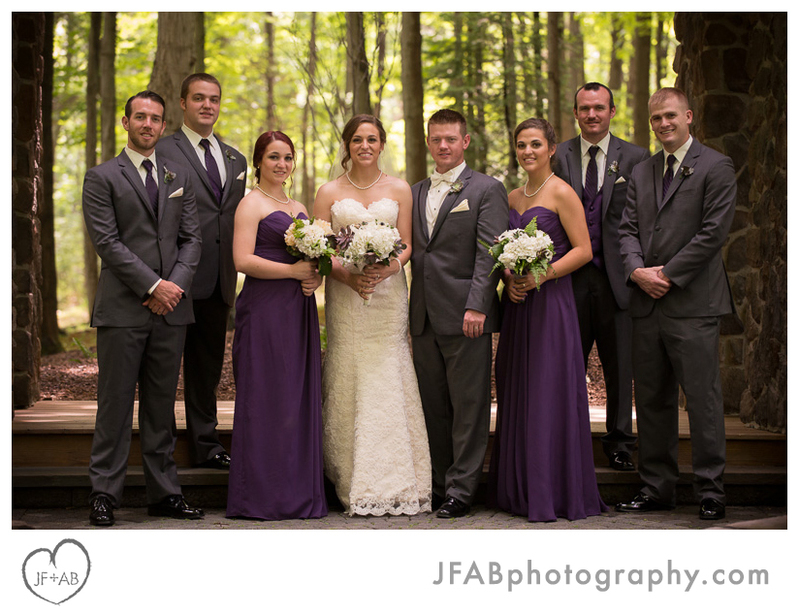 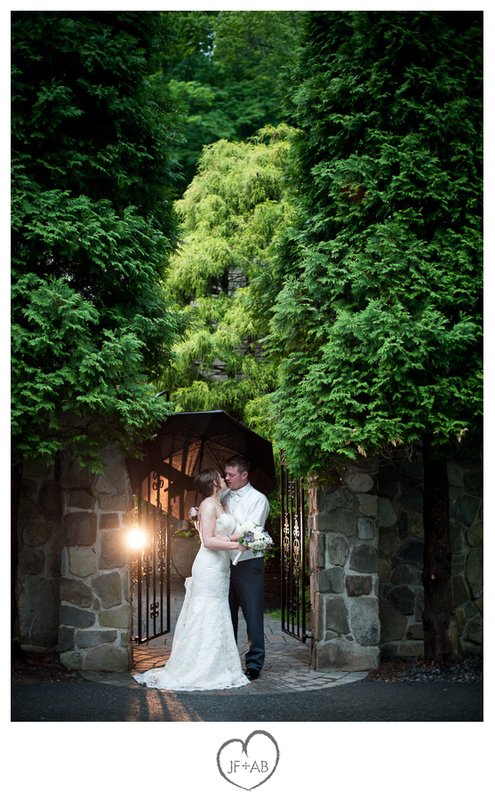 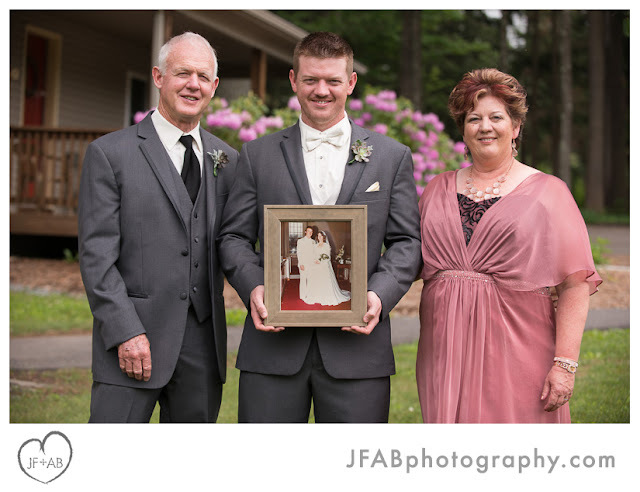 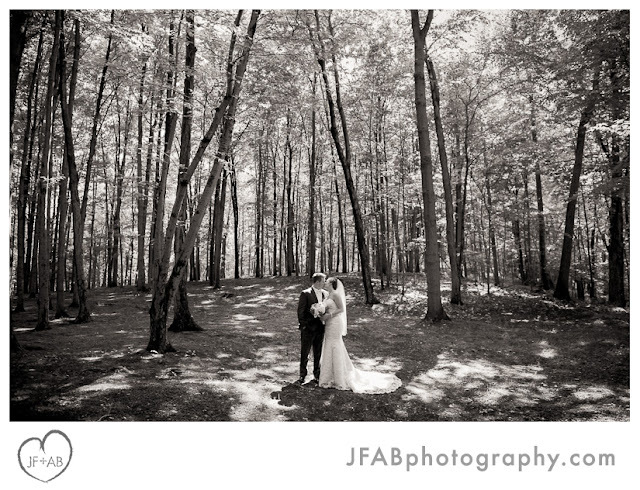 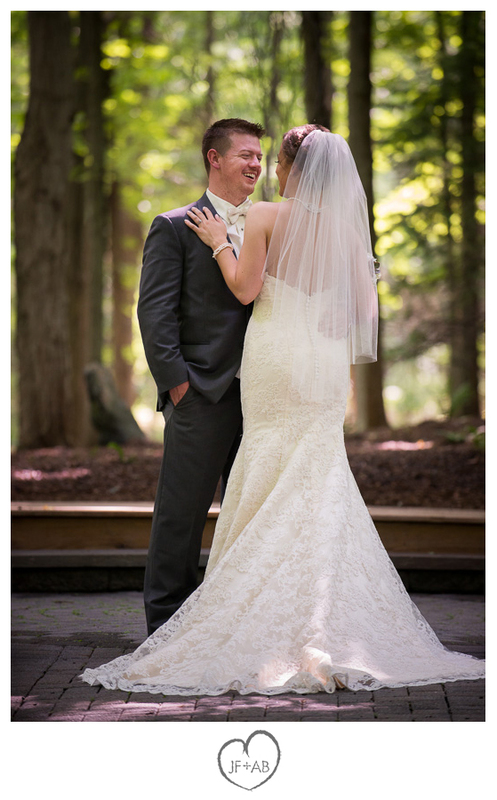 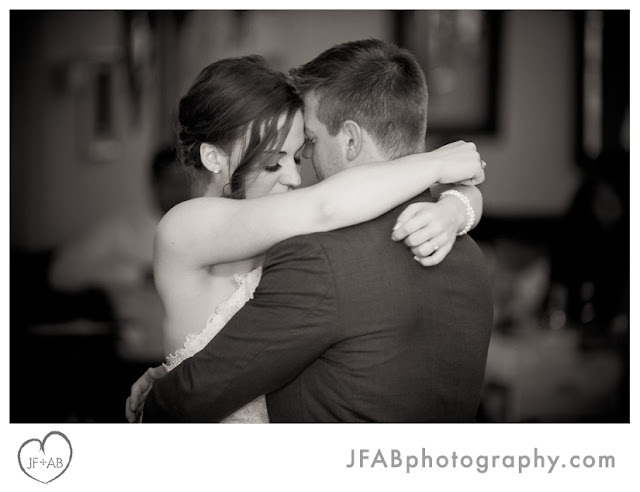 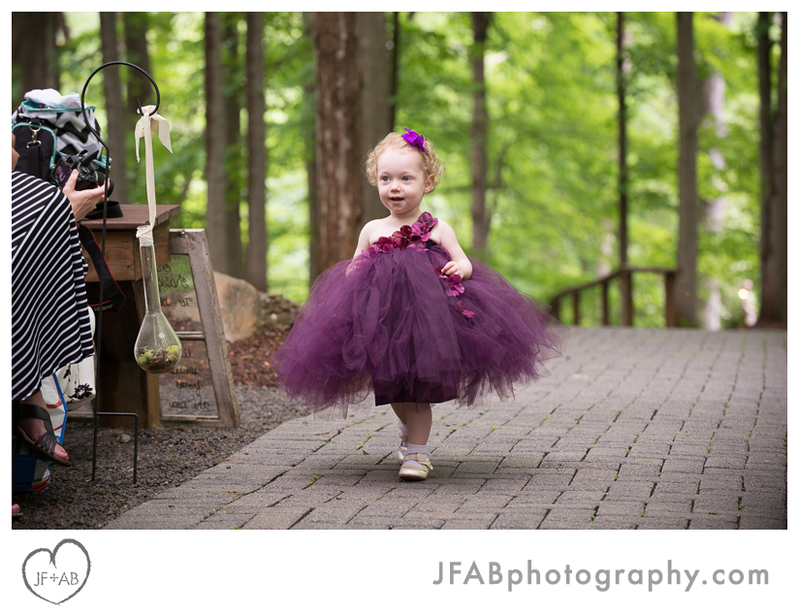 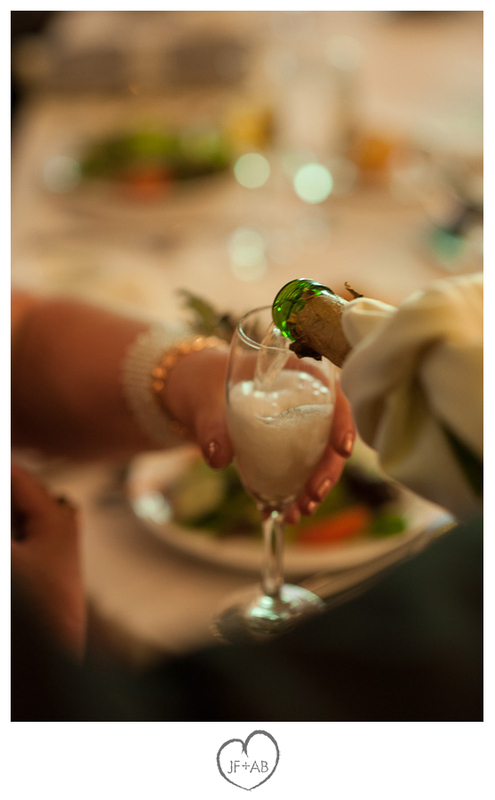 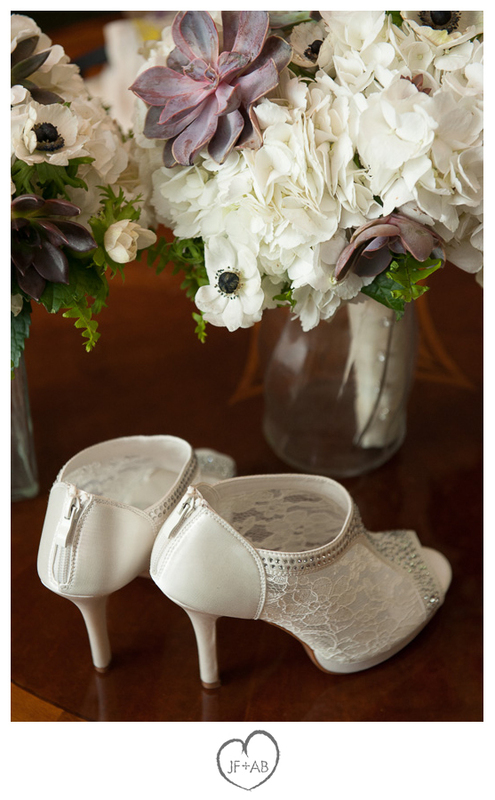 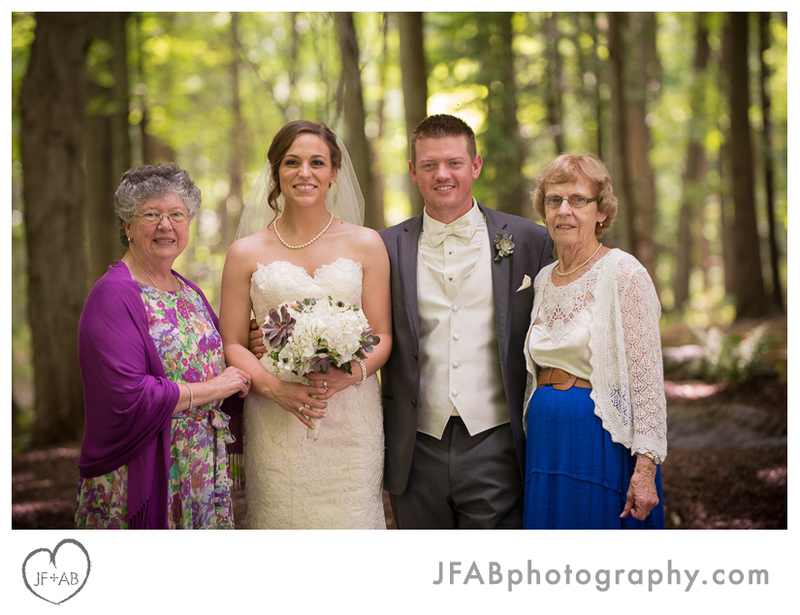 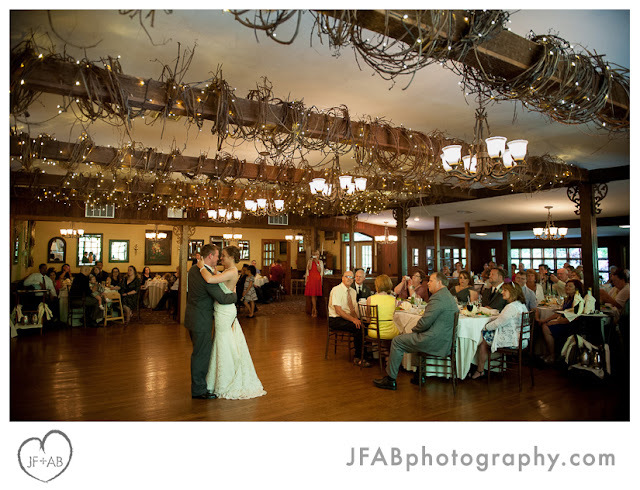 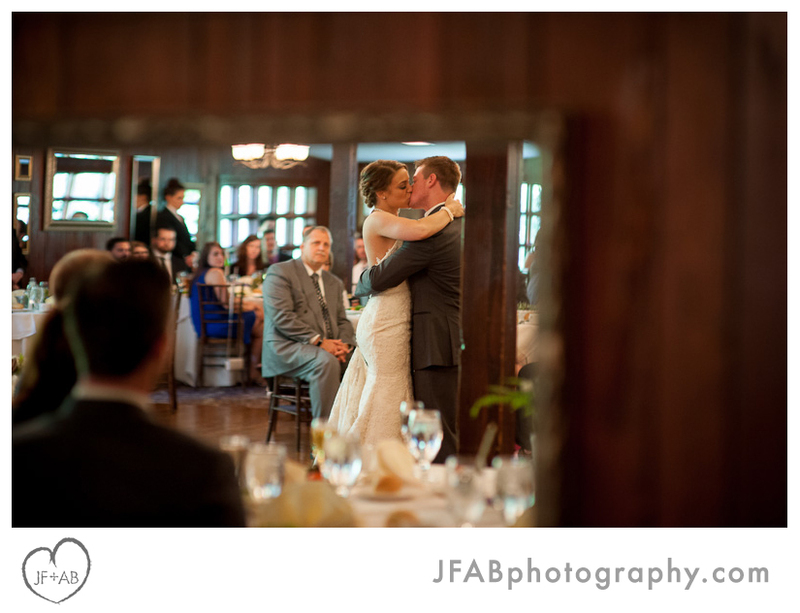 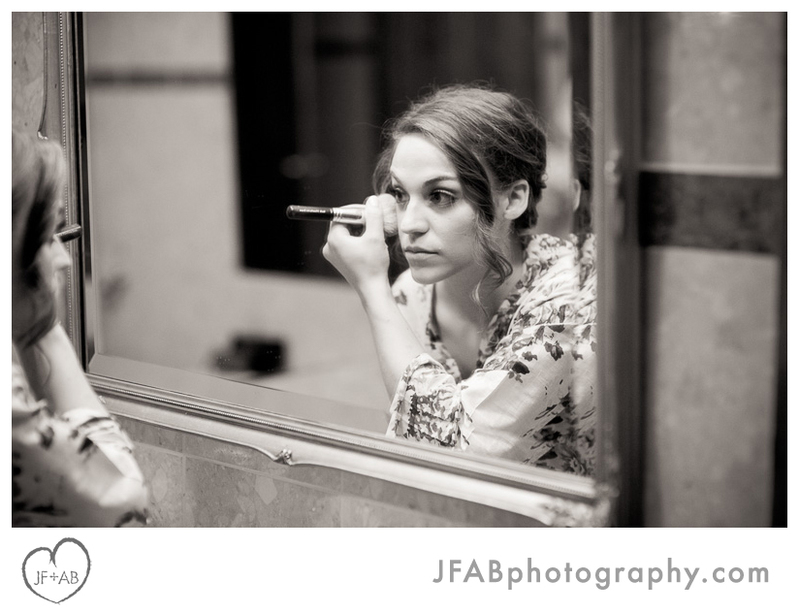 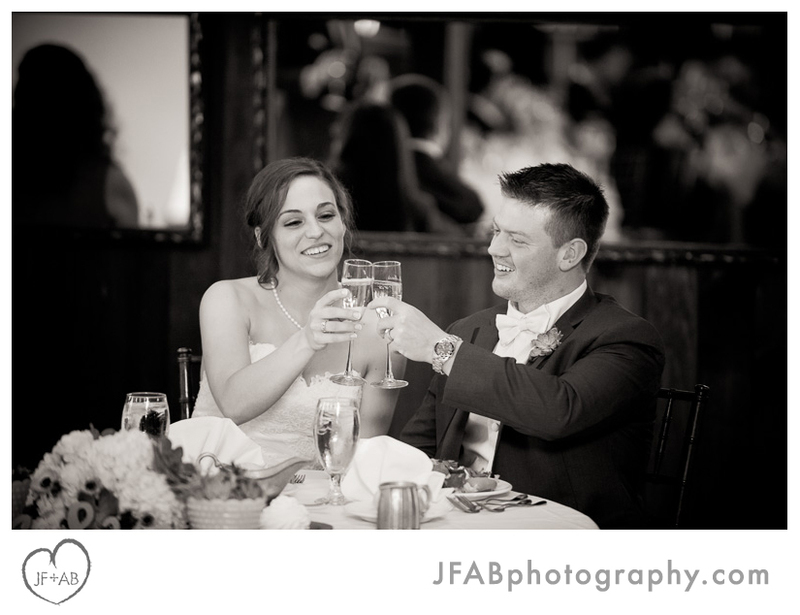 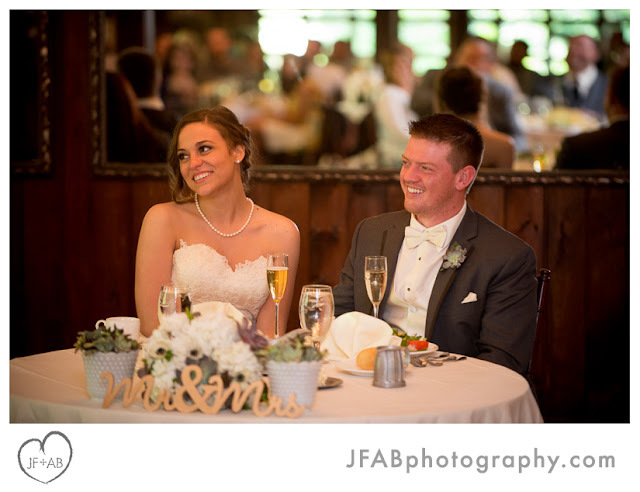 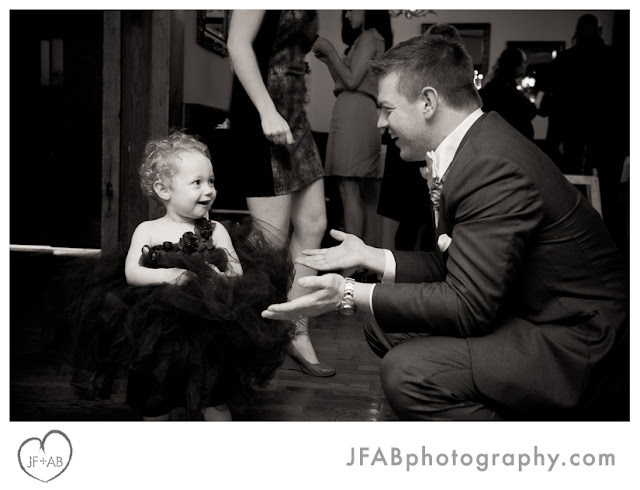 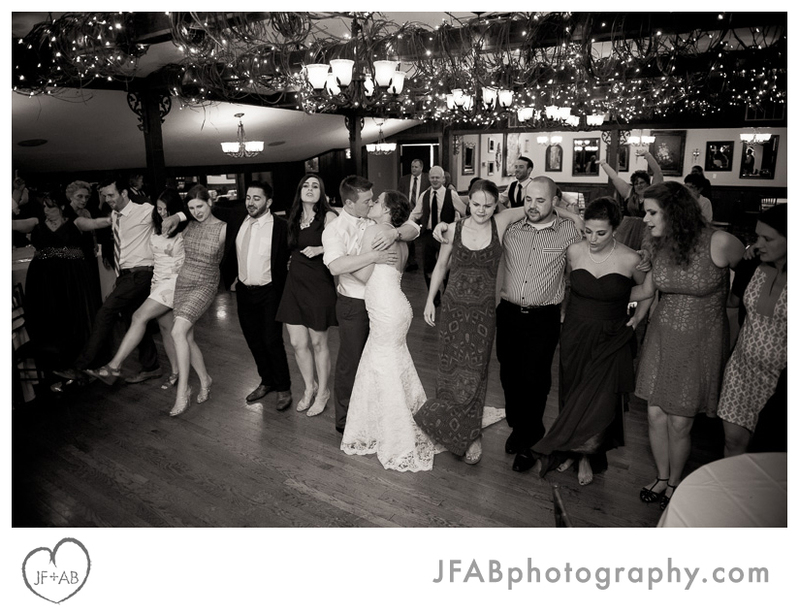 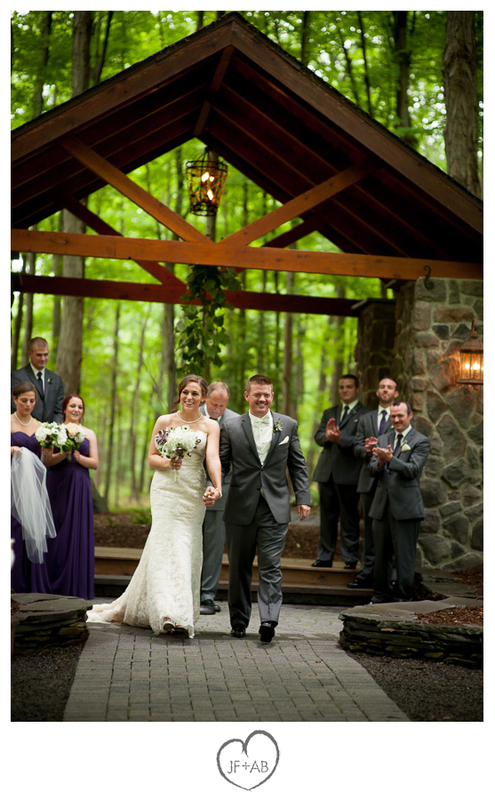 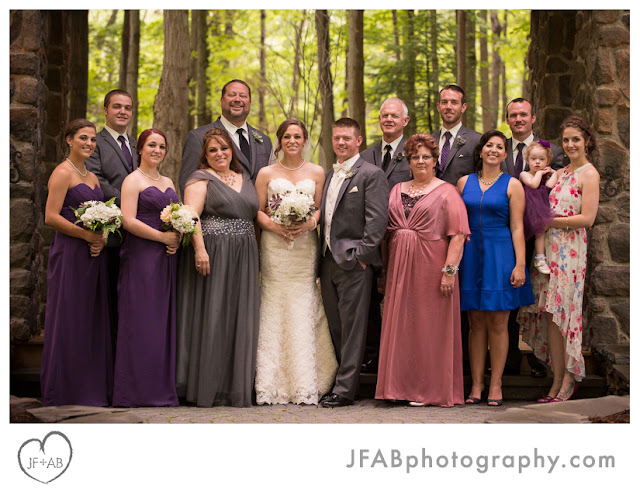 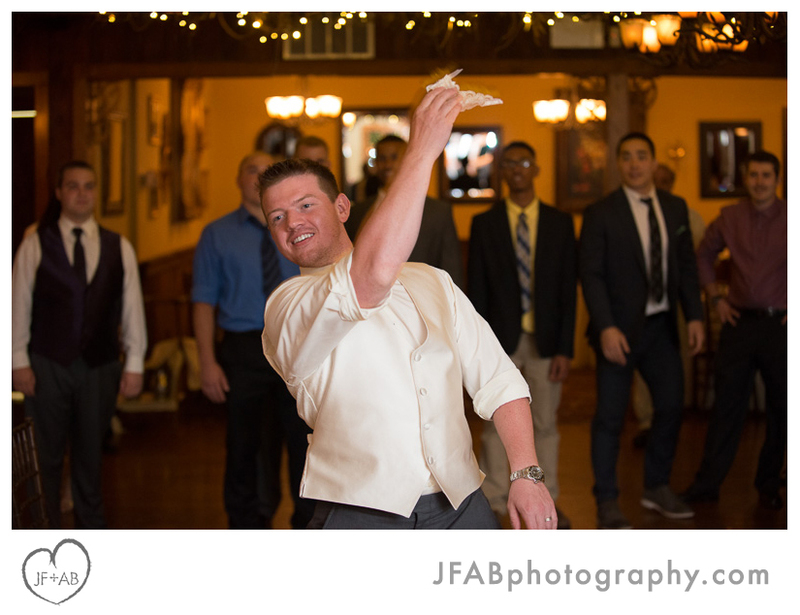 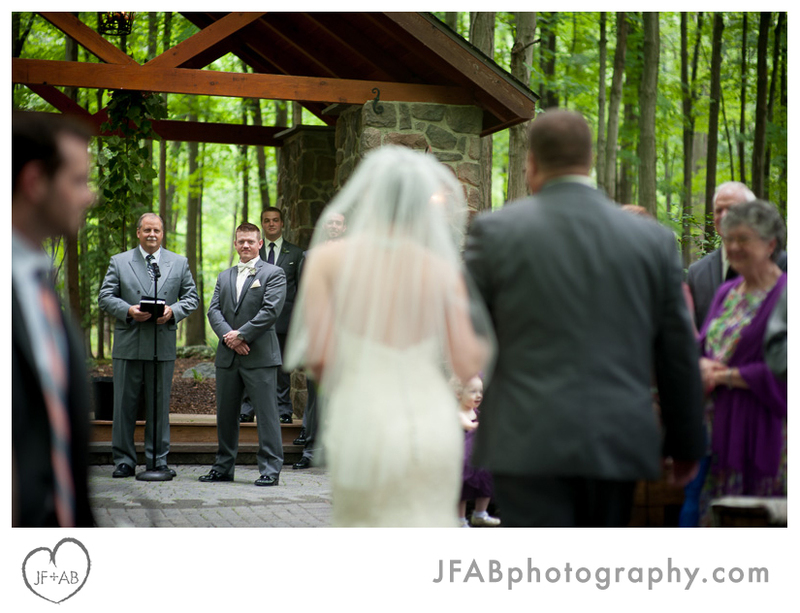 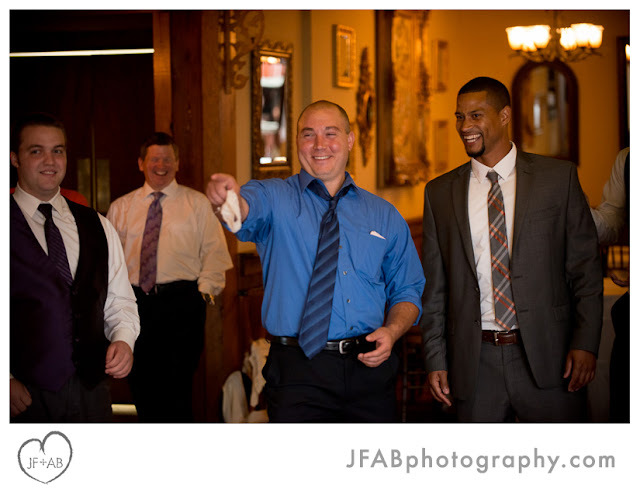 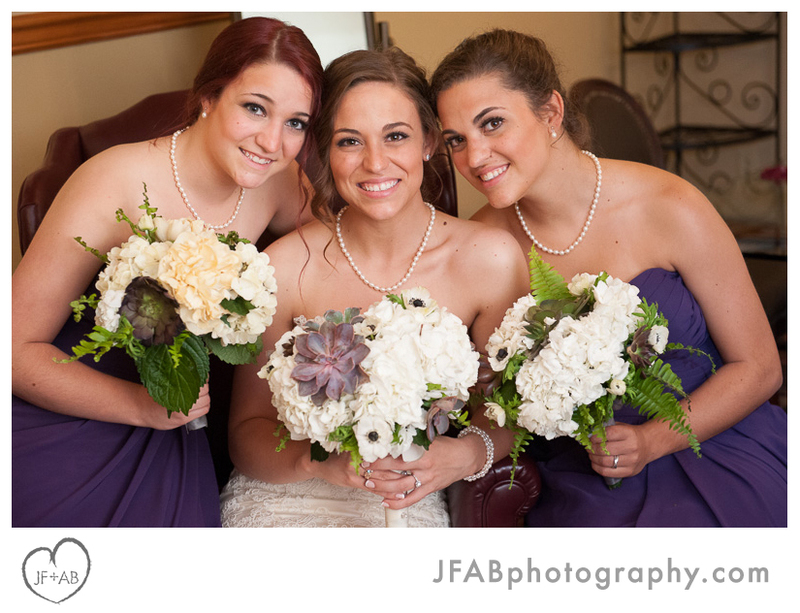 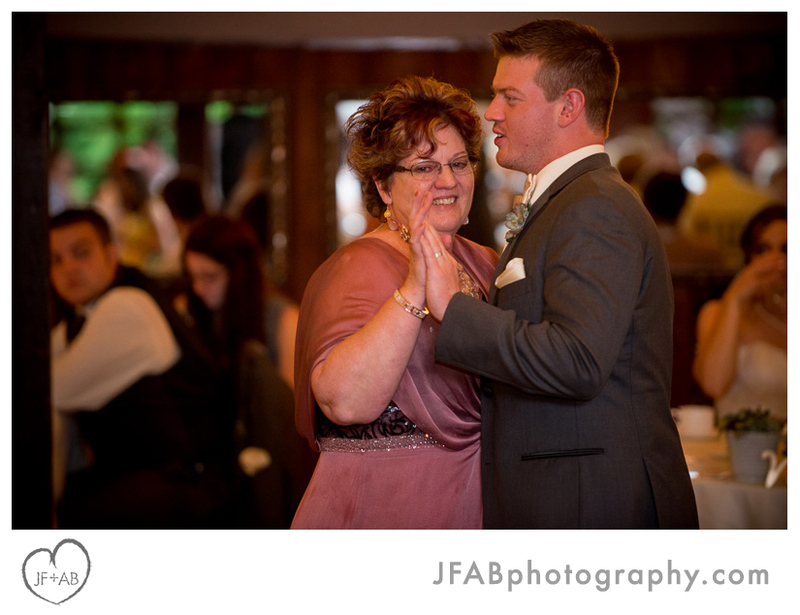 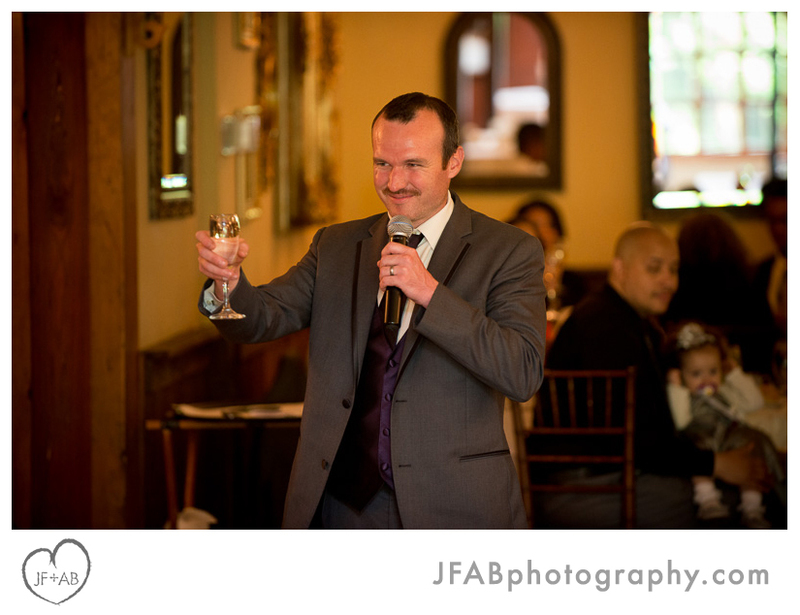 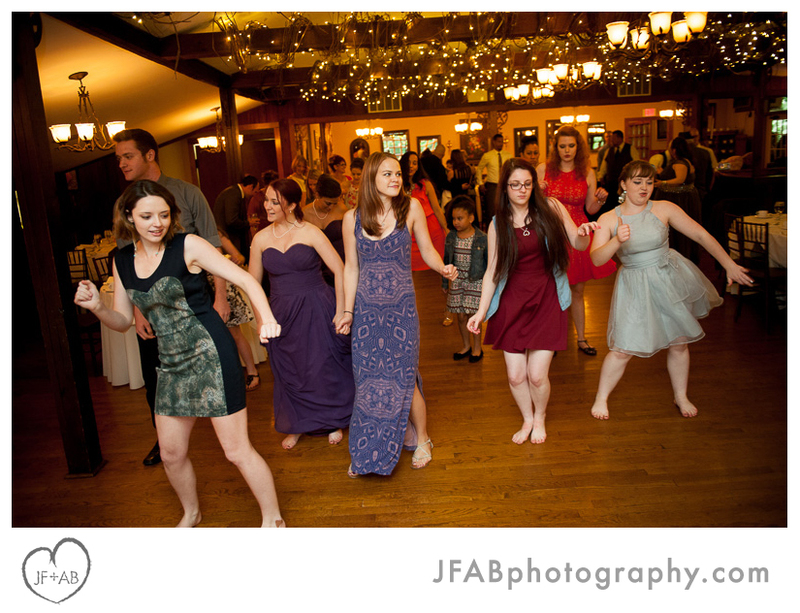 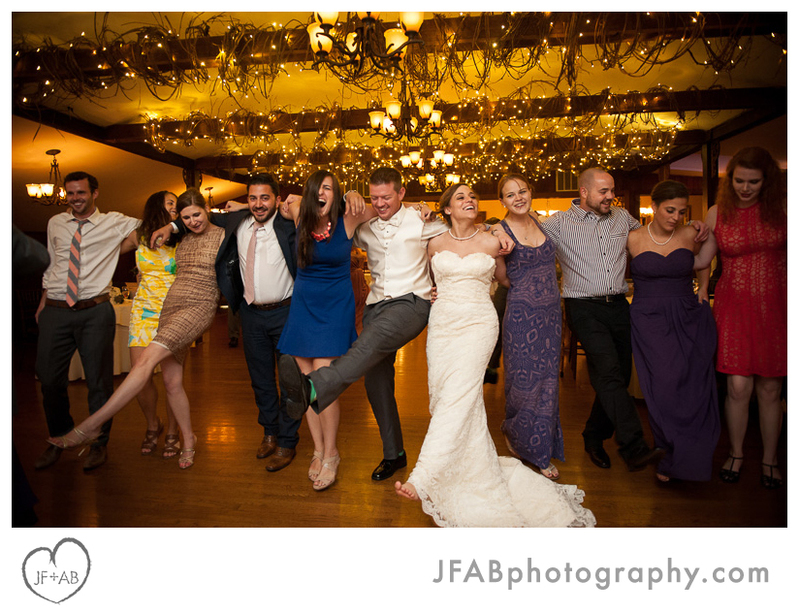 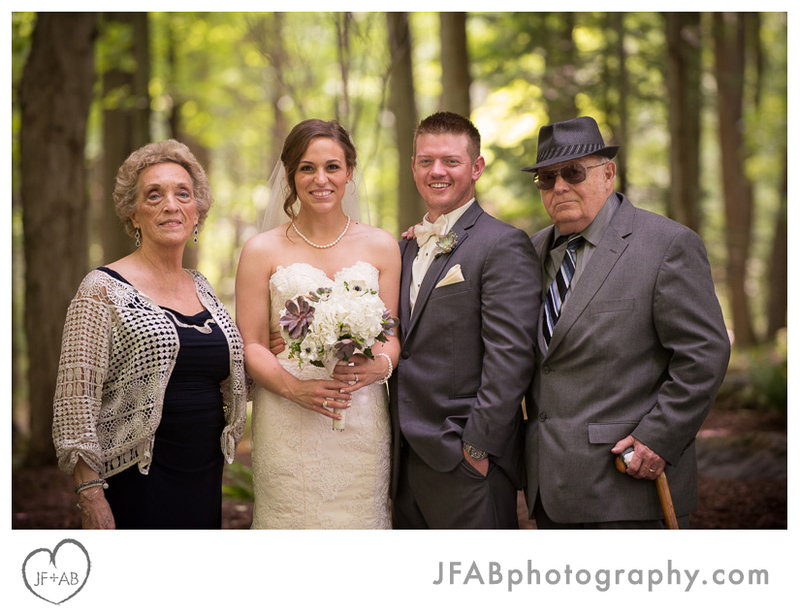 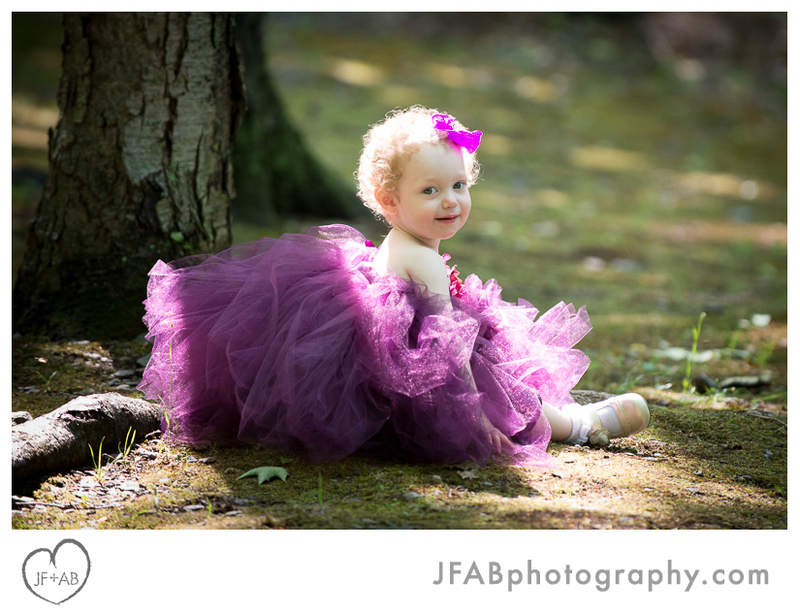 JF + AB Photography Blog: Amanda and Sean | Married! 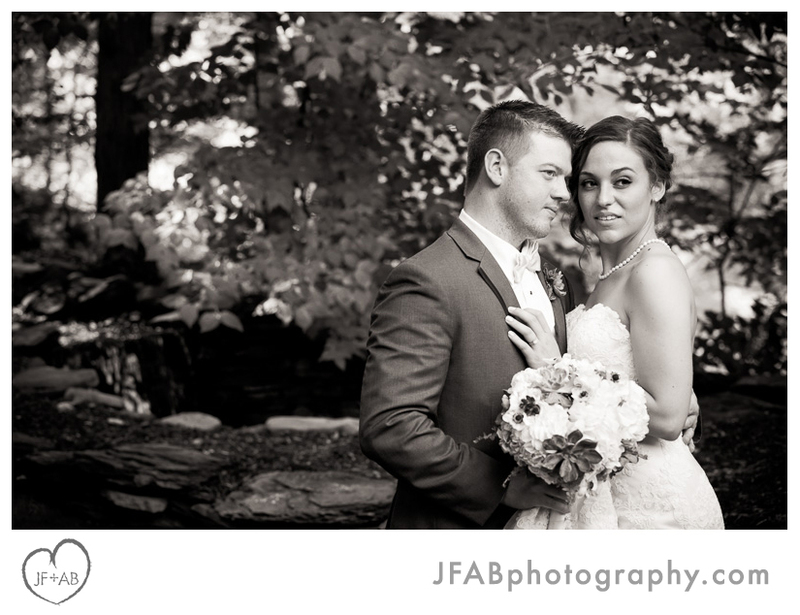 Amanda and Sean | Married! 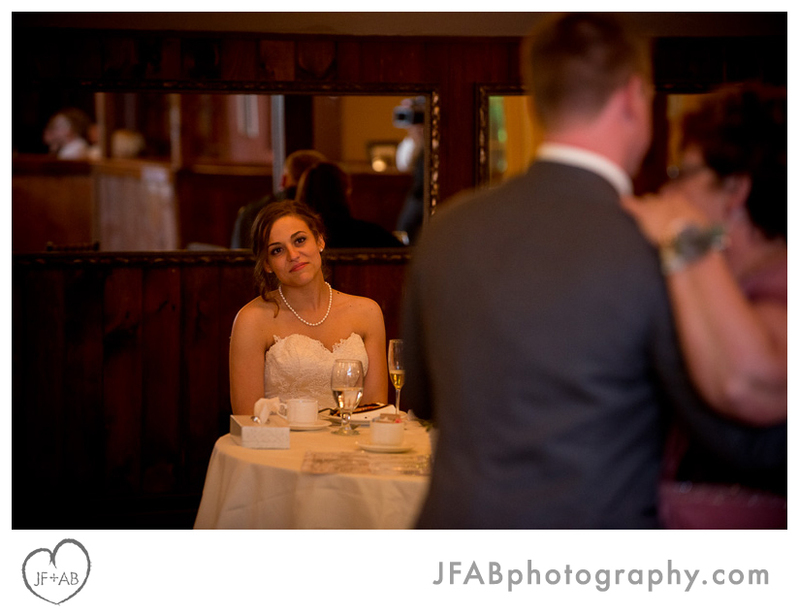 We met Amanda and Sean almost a year to the day before their wedding. I (Amber) shot their engagement portraits shortly after last summer. 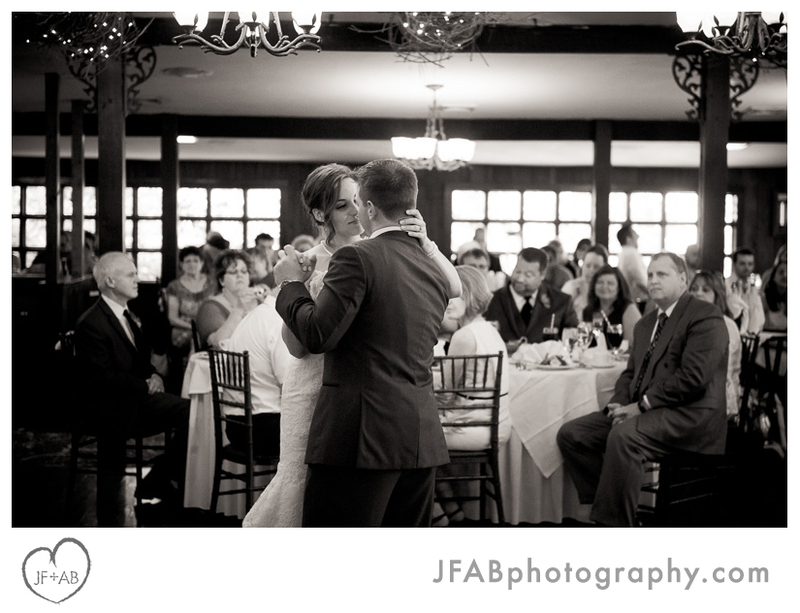 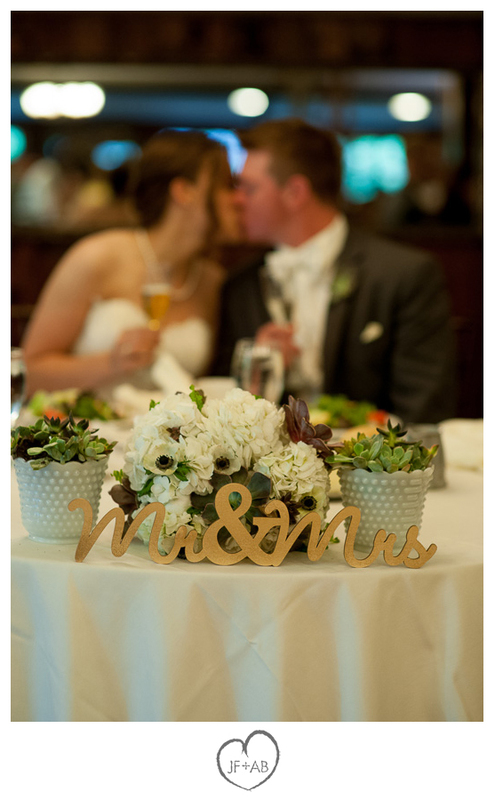 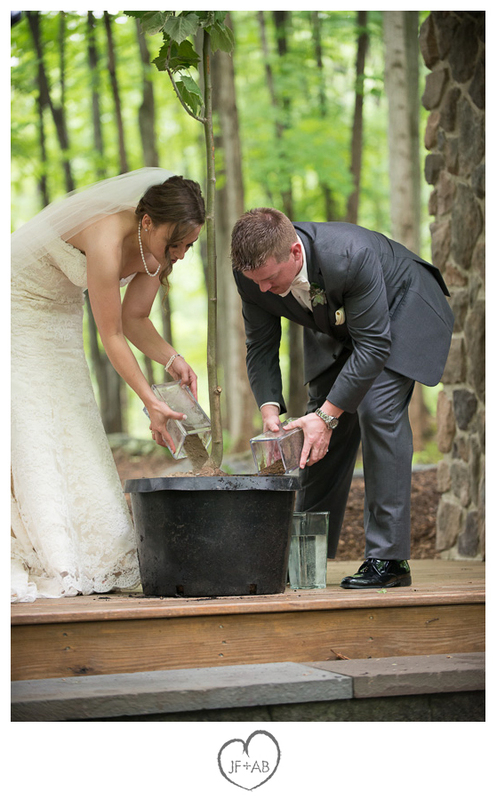 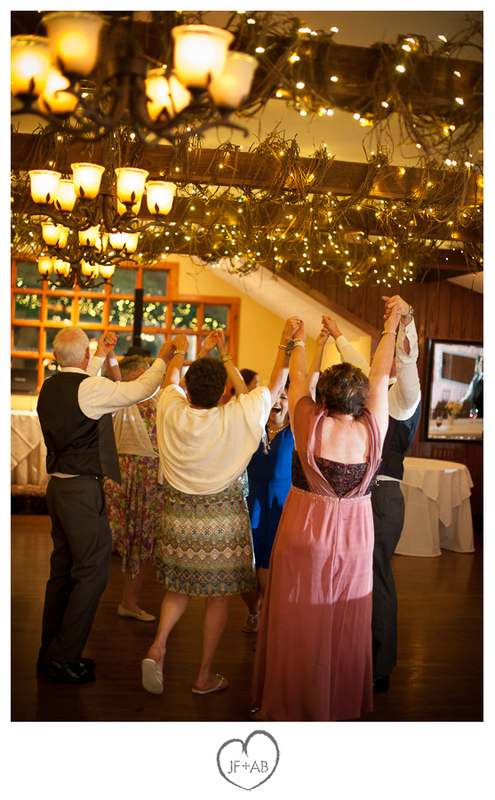 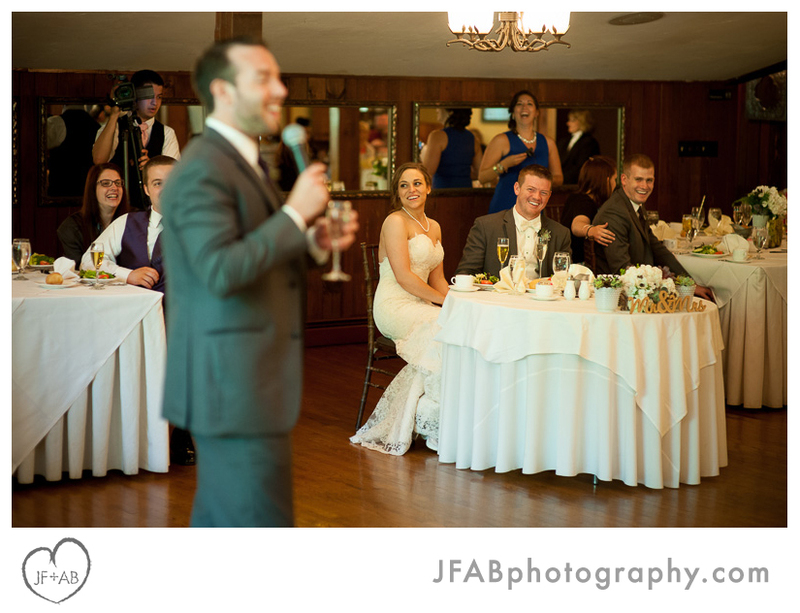 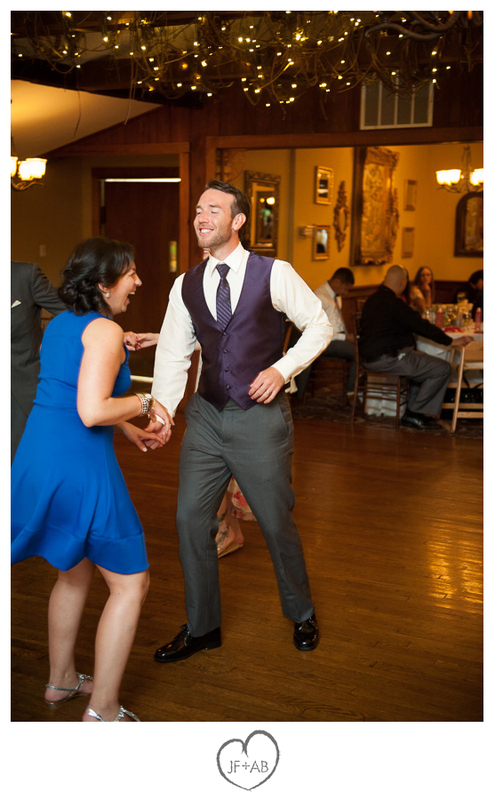 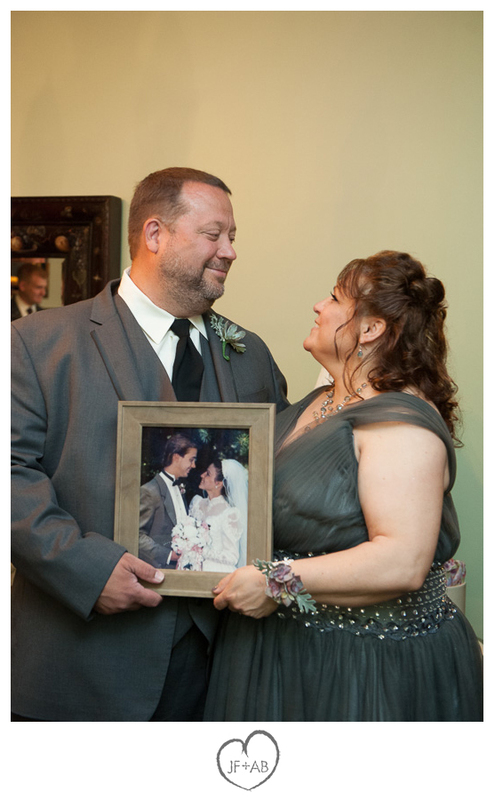 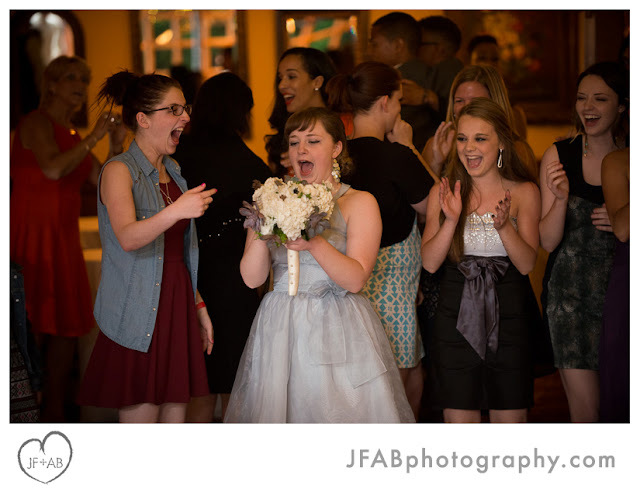 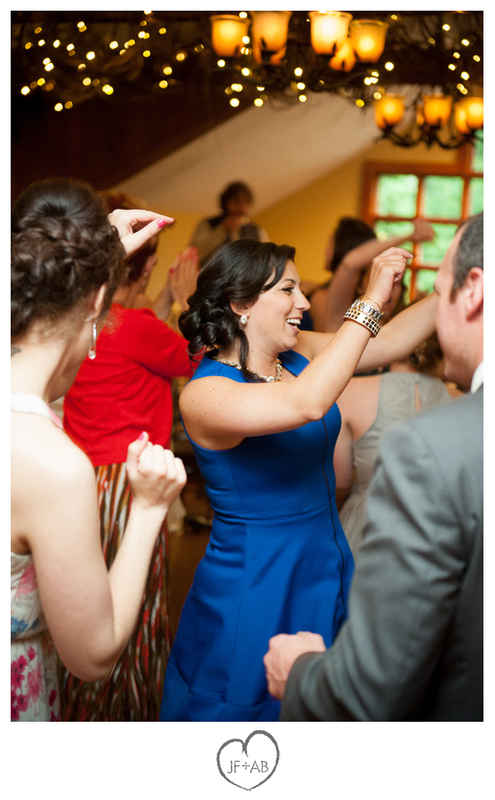 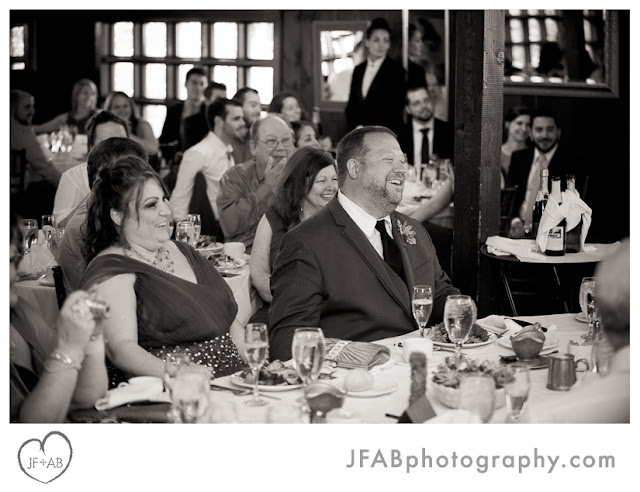 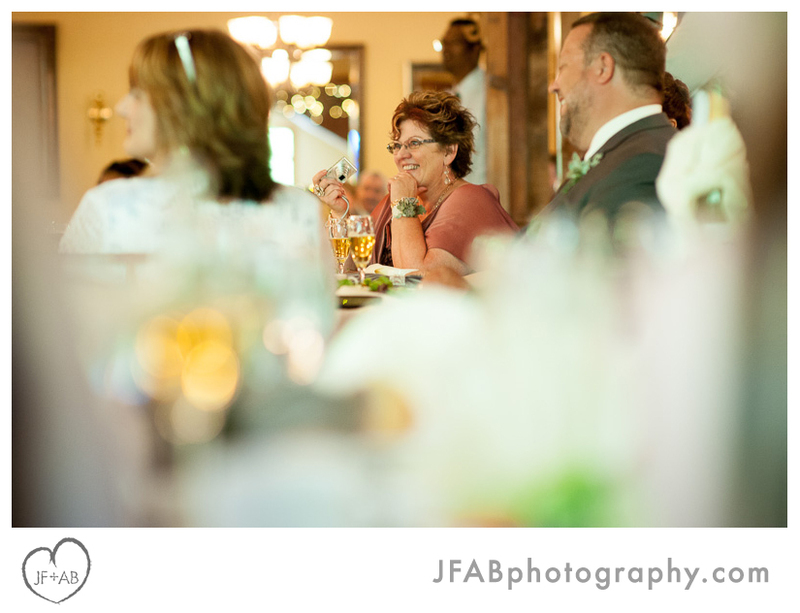 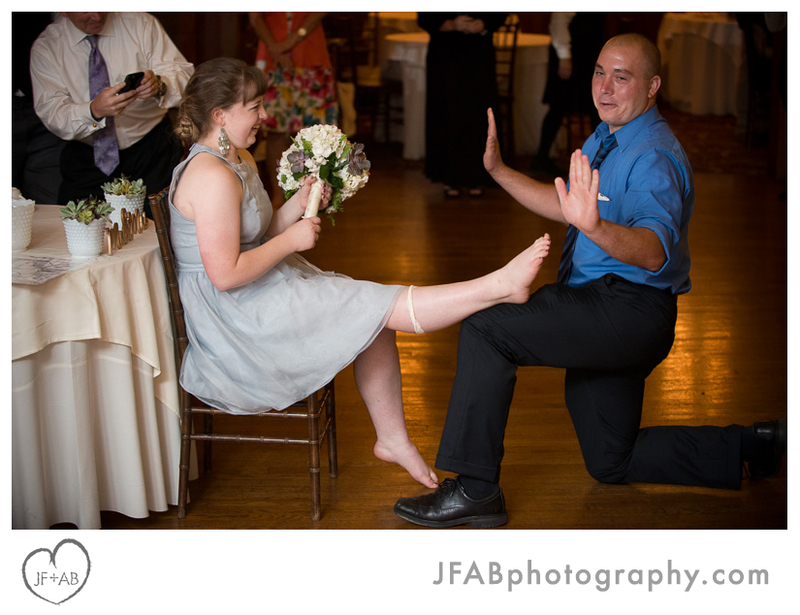 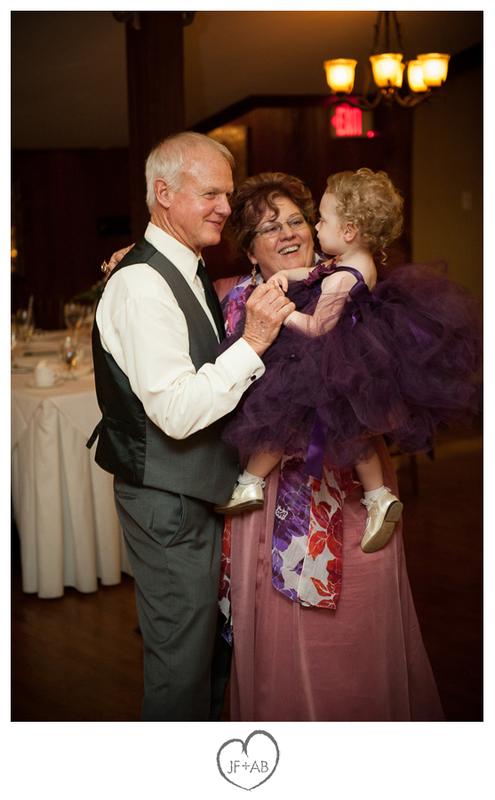 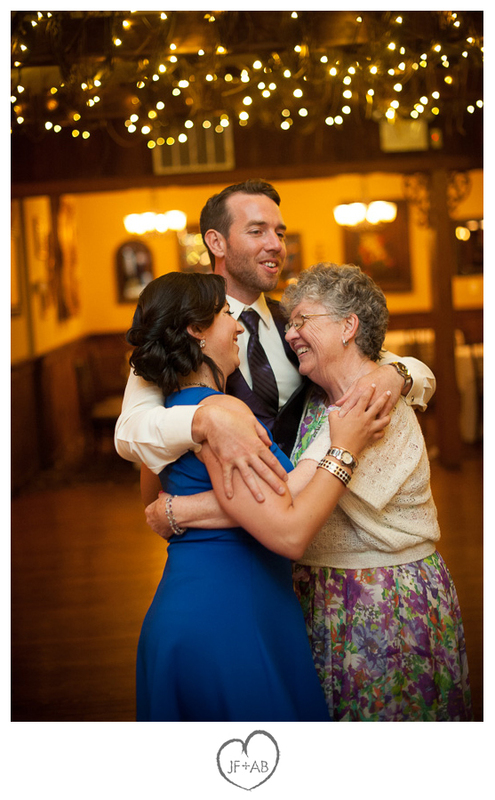 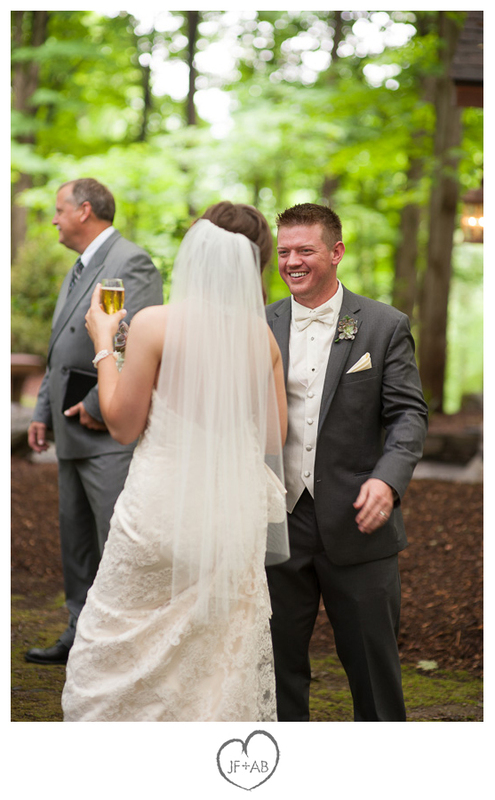 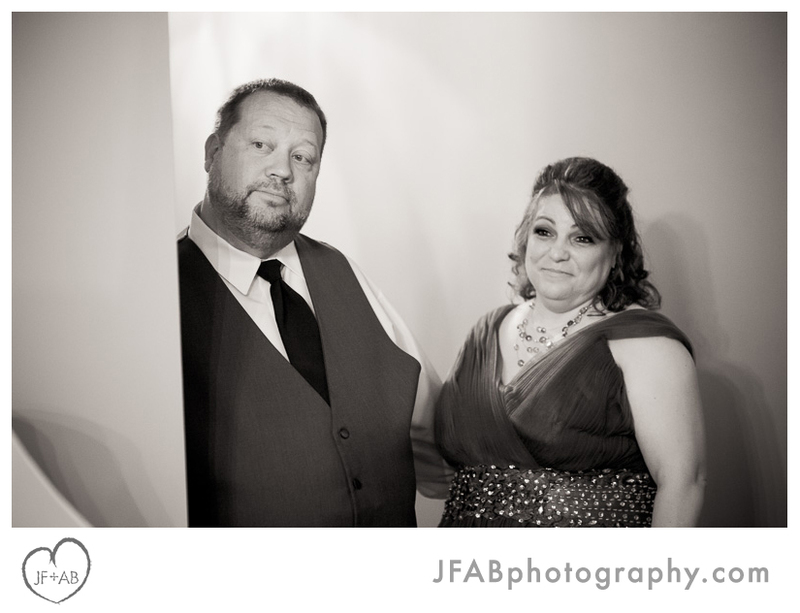 At both meetings, their mutual enthusiasm for each other and their wedding plans were clear. 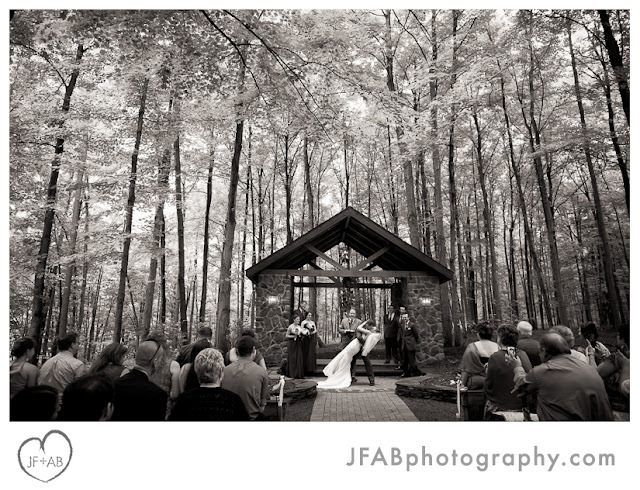 Our dream for our wedding is romance. 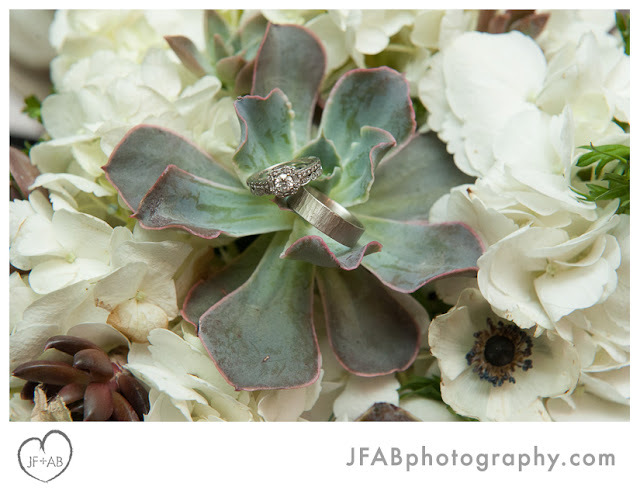 We are so excited to be getting married and we want it to show! Our ceremony will be in the woods at the end of May, so everything will be green and new. 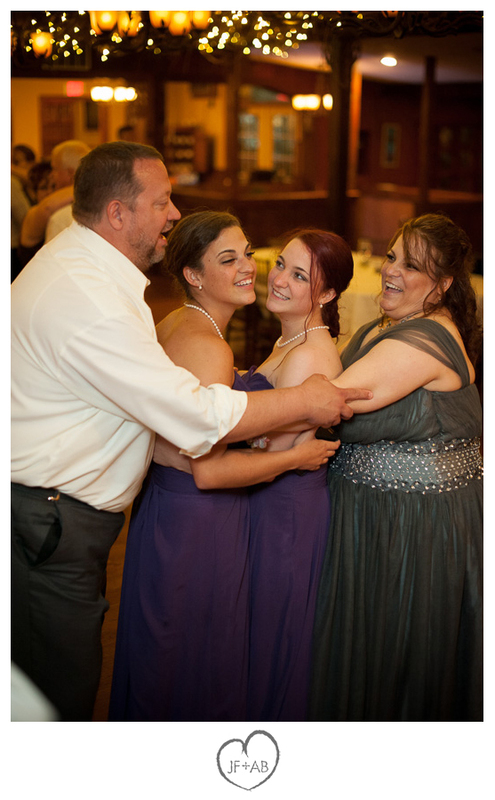 We're very close to our families, so we're looking forward to a day where we can enjoy having a lot of them together at once. 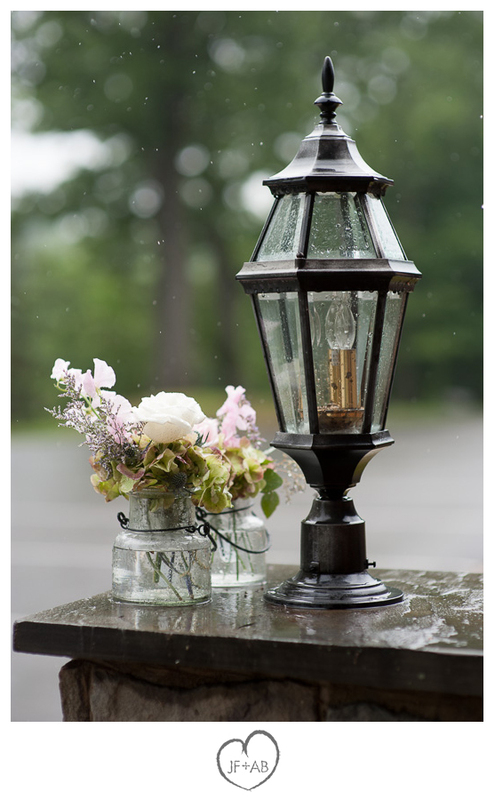 Their glorious spring day arrived, but with a forecast of thunderstorms sporadically throughout the day. 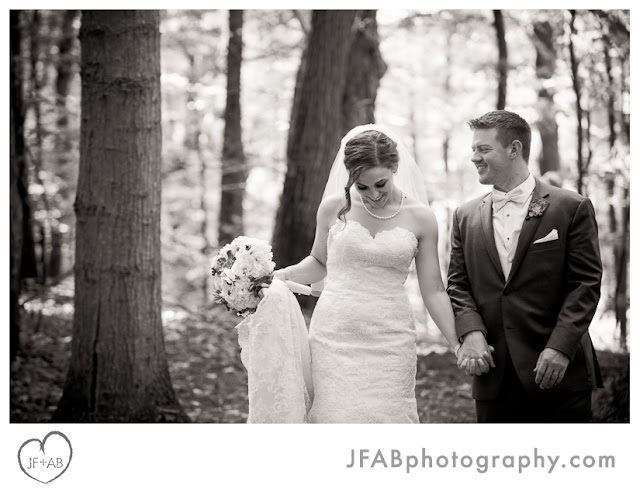 Amanda and Sean took it in stride and thankfully, the clouds parted long enough for them to enjoy their ceremony and portraits afterward outdoors. It was a beautiful day full of many fun and heartfelt moments. 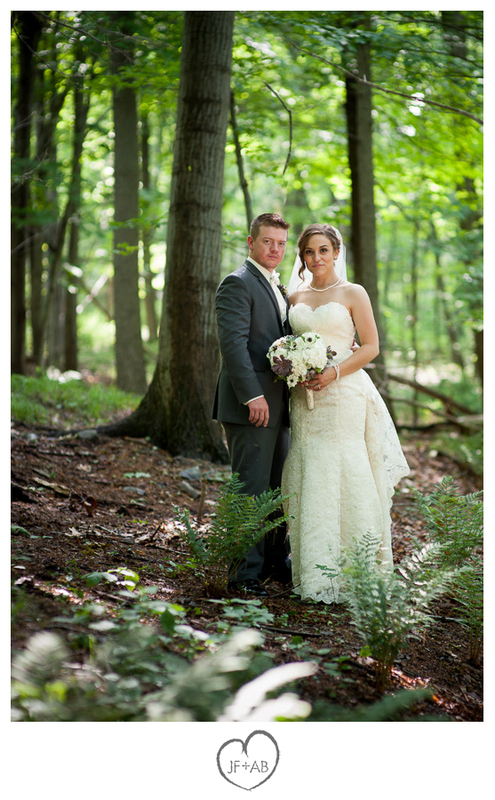 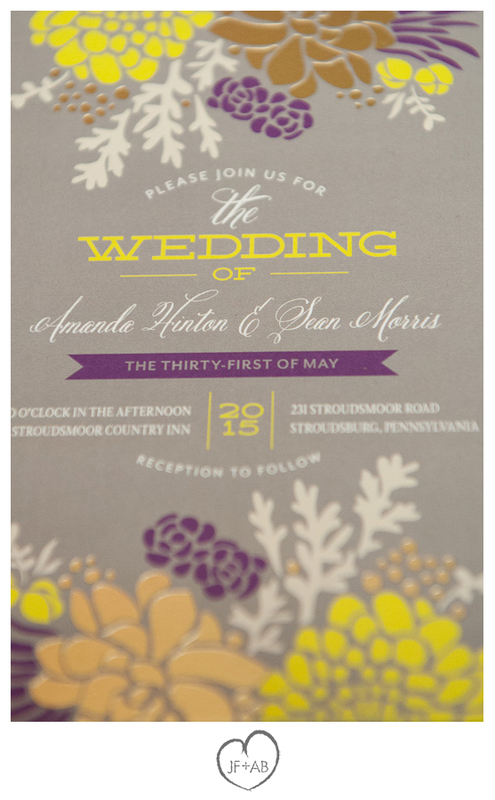 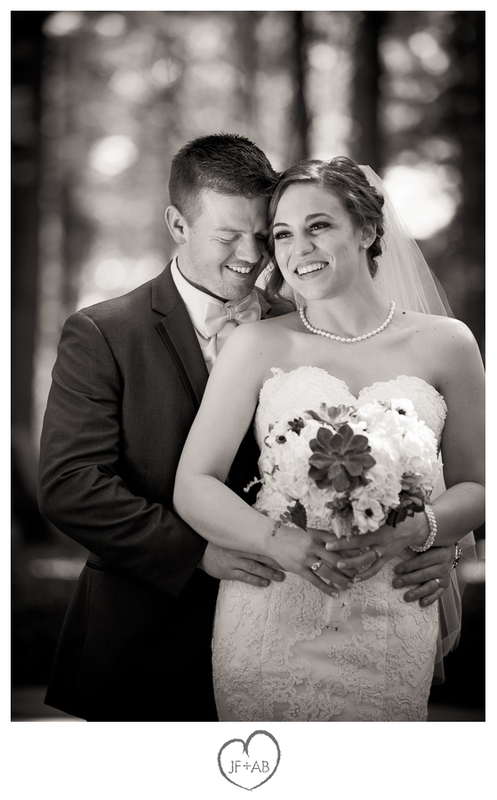 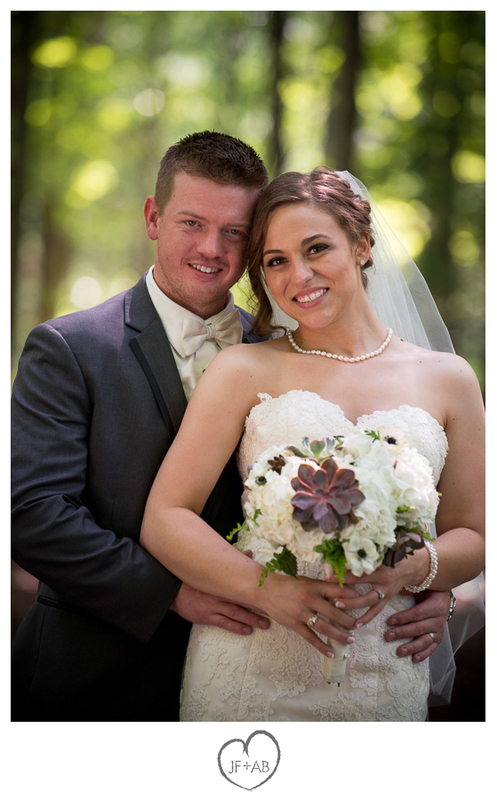 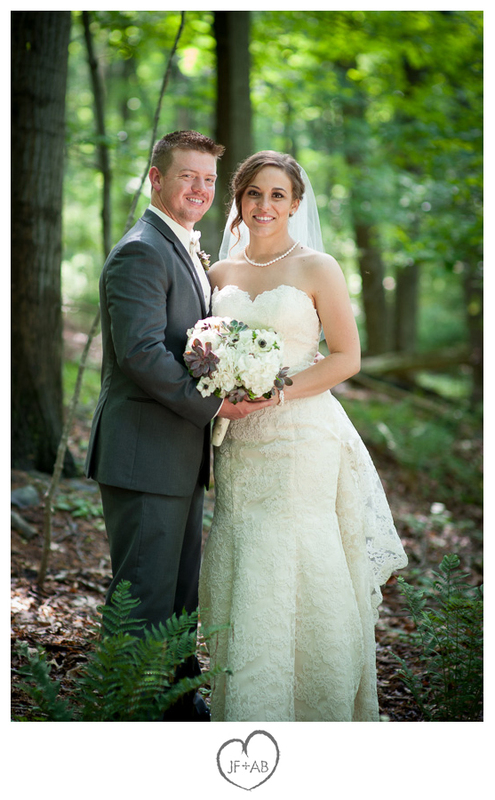 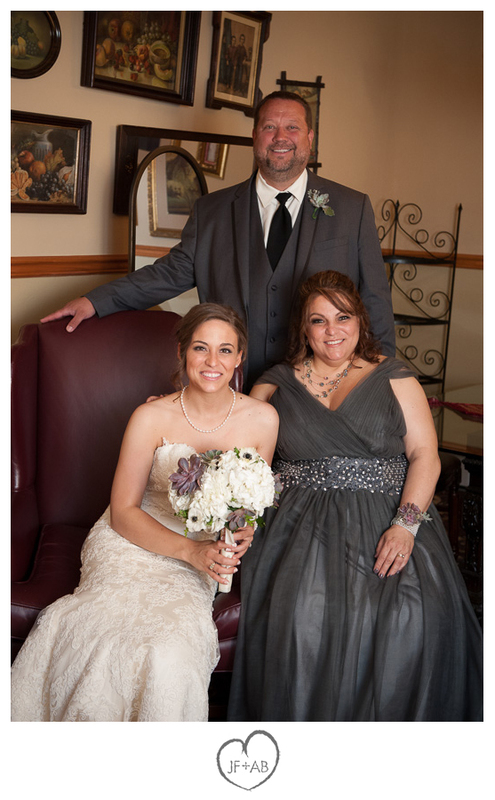 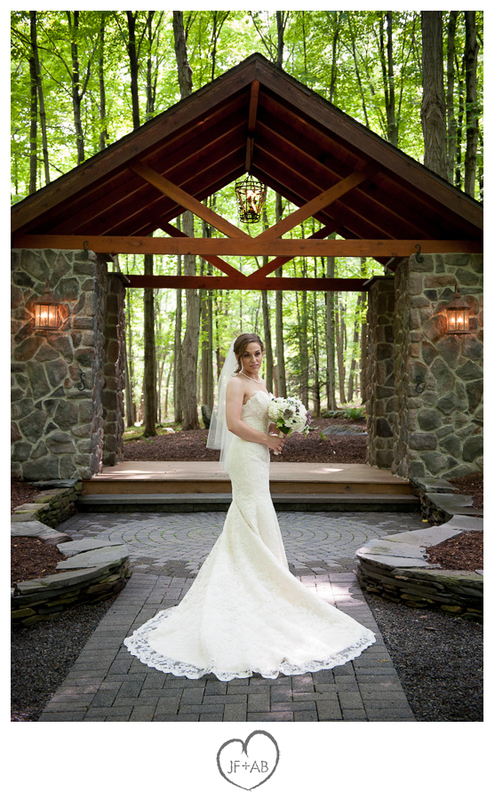 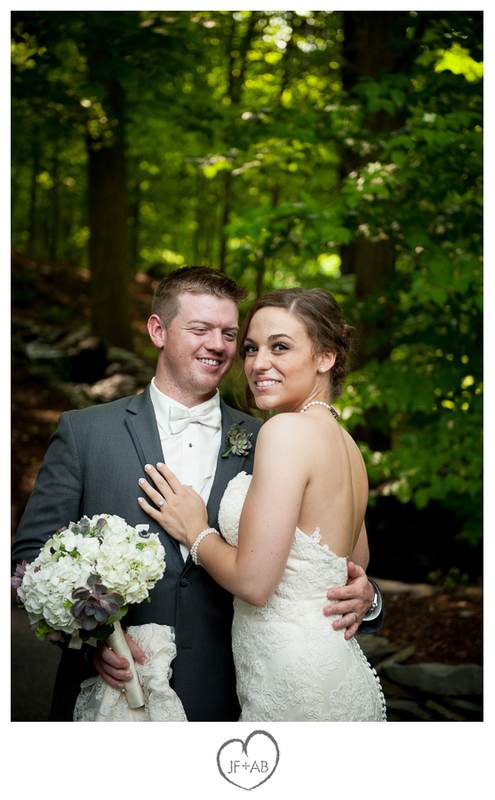 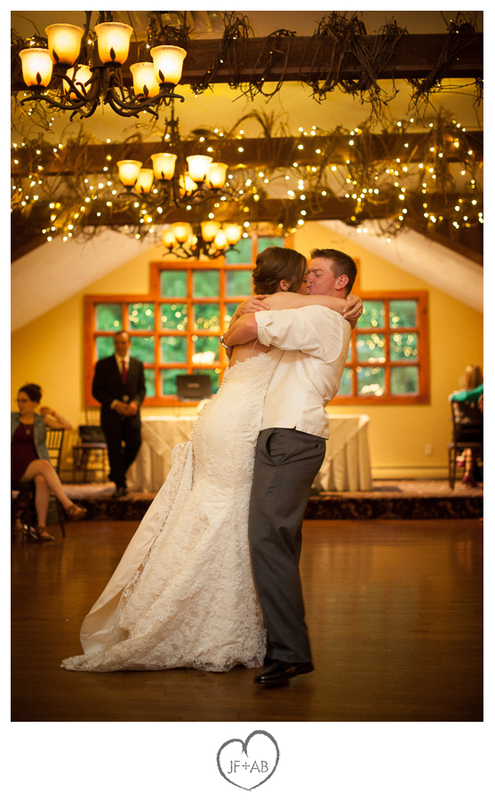 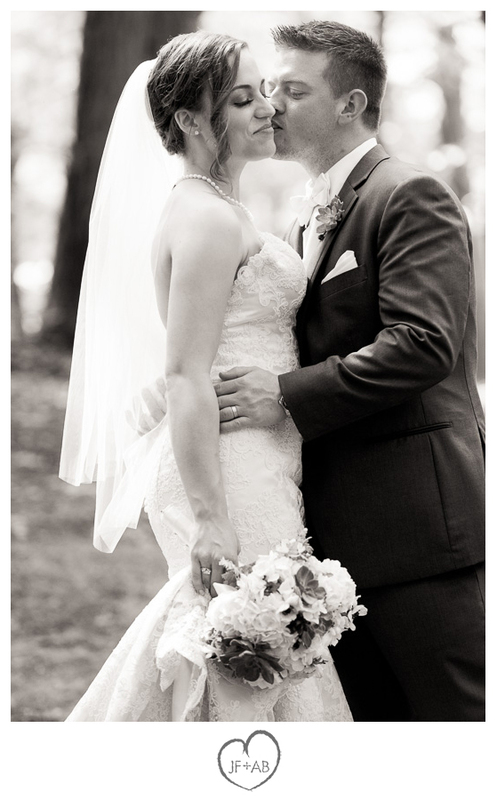 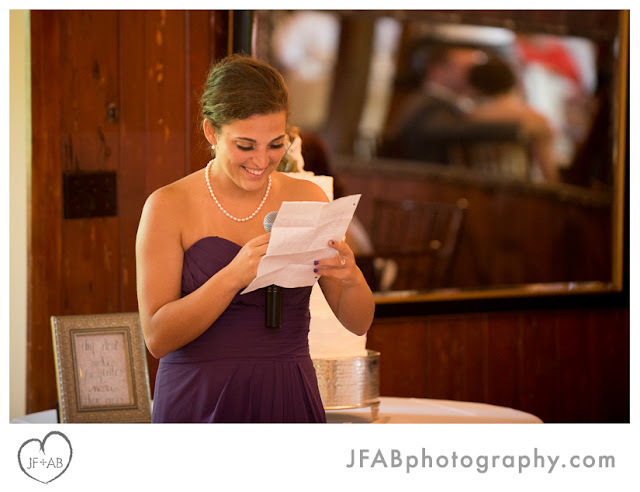 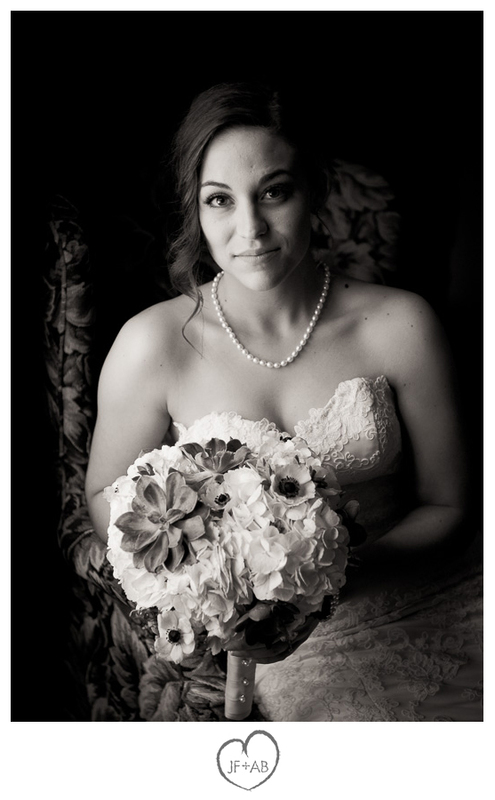 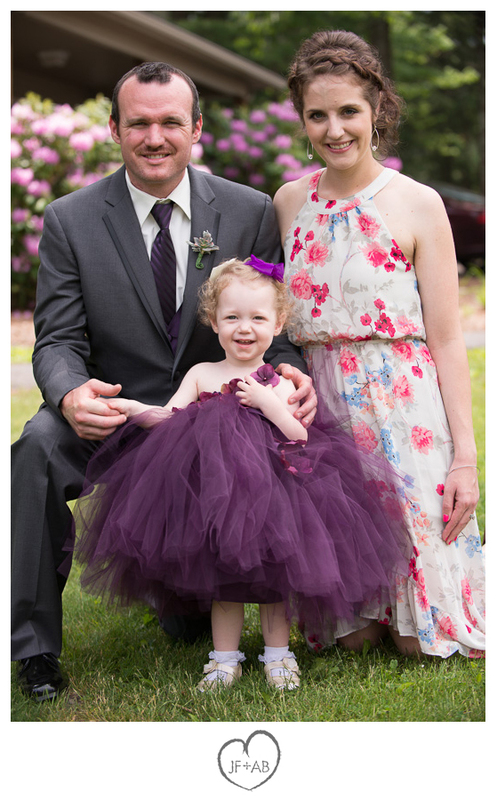 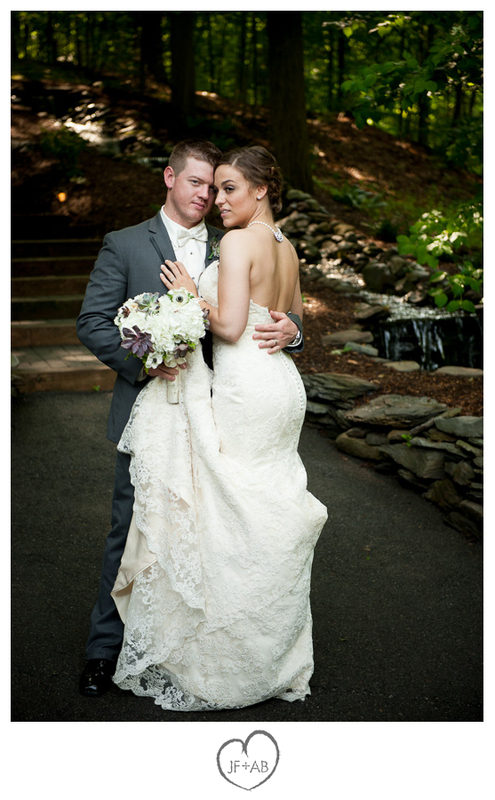 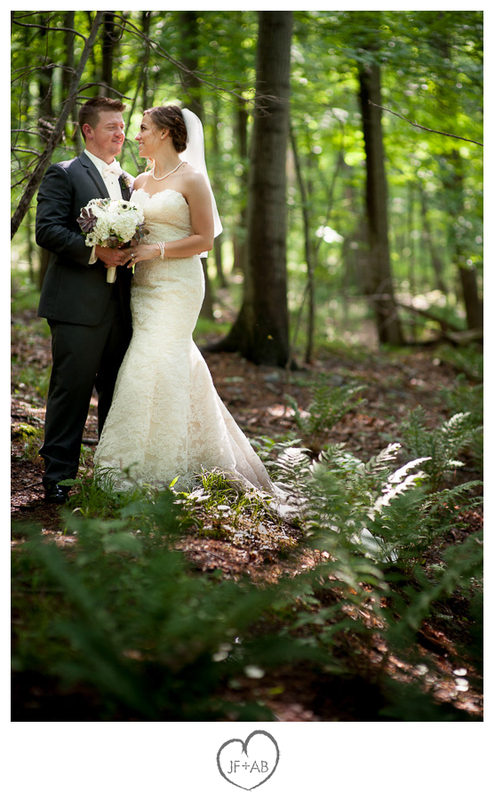 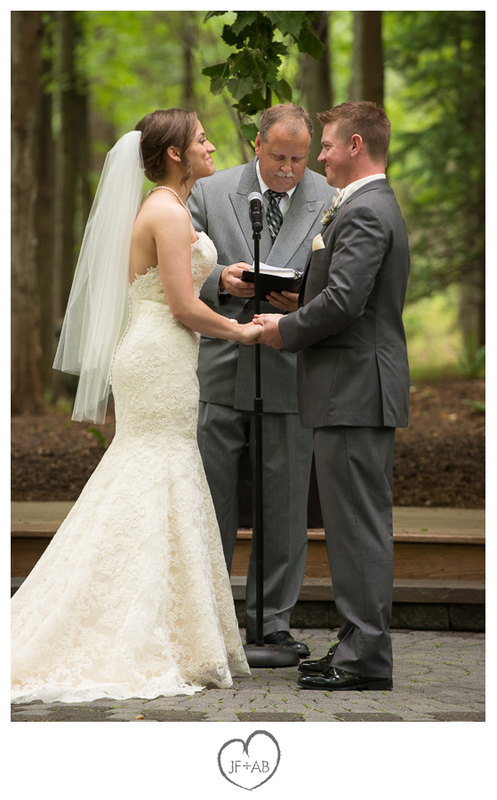 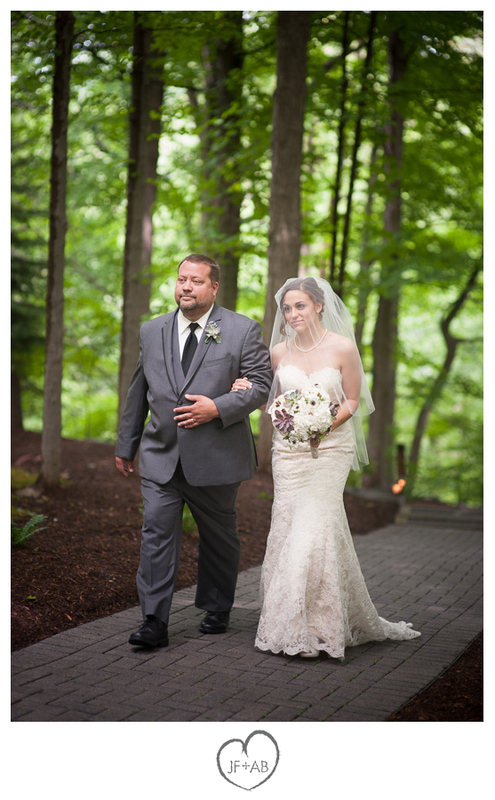 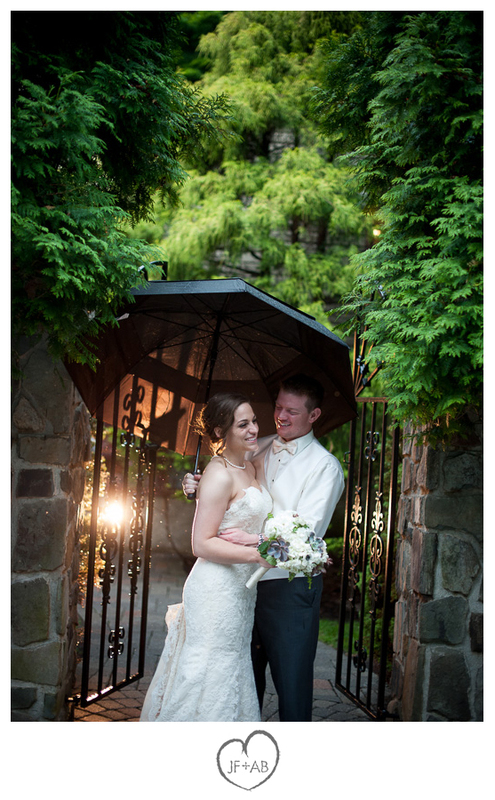 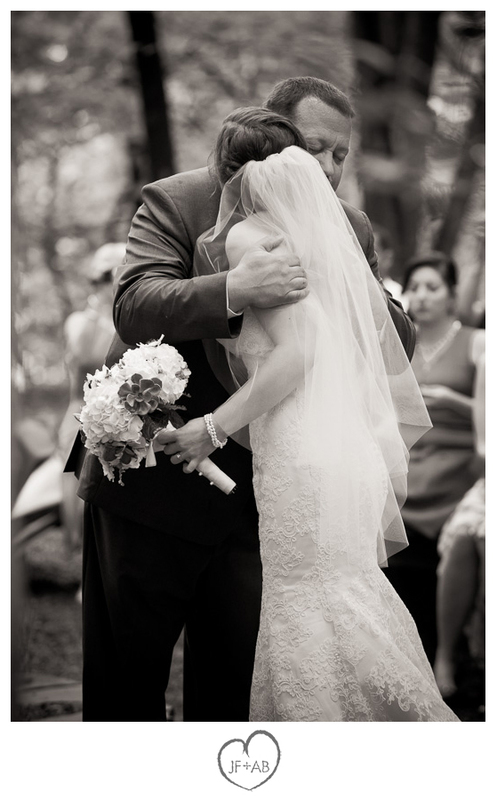 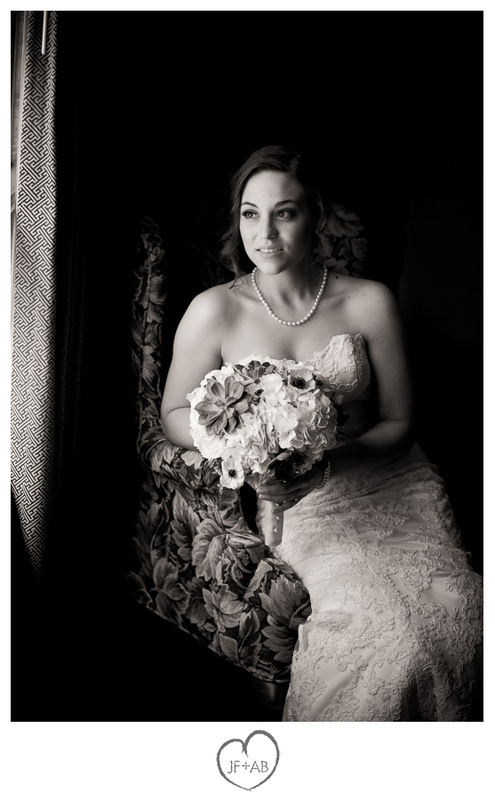 Congratulations Amanda and Sean and thank you for trusting us to tell the story of your day! 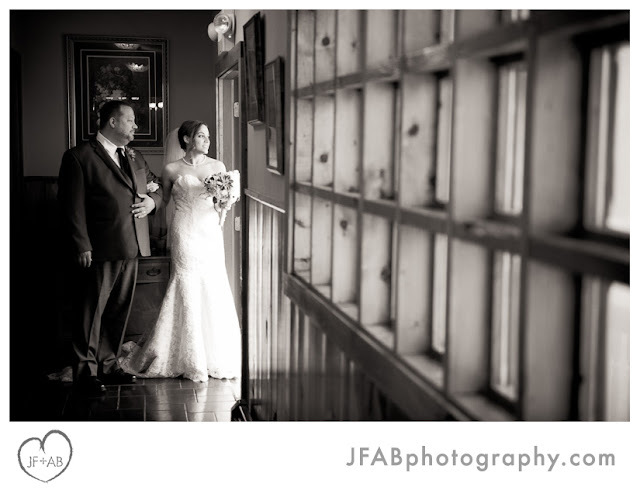 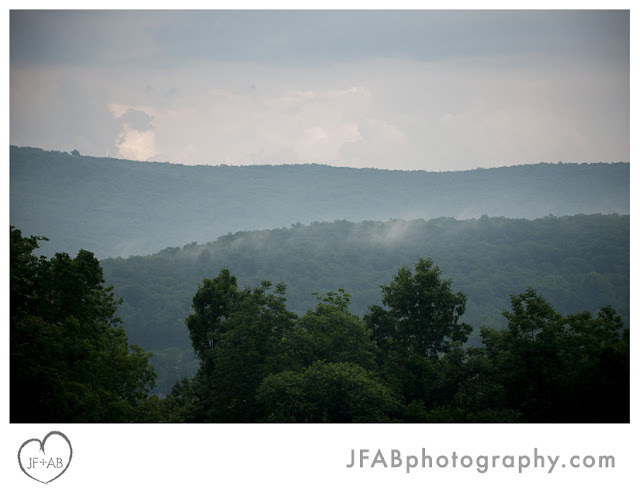 Scroll on to check out some of our favorite photos. 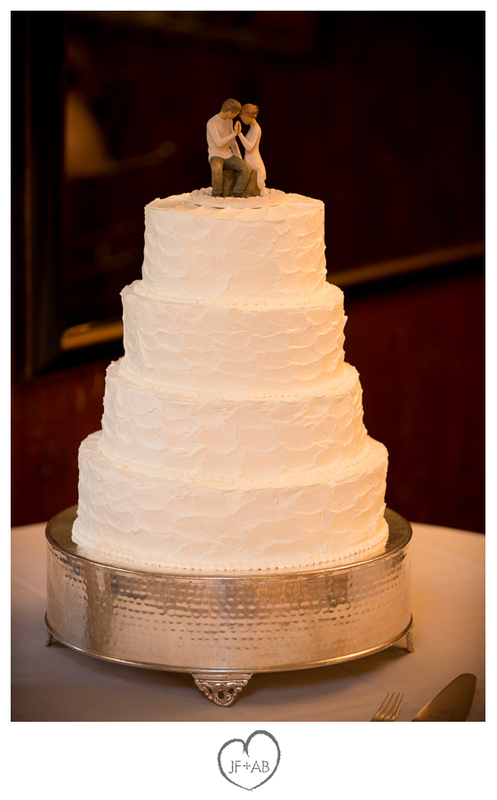 Credits: Wedding cake by the Stroudsmoor Bakery. 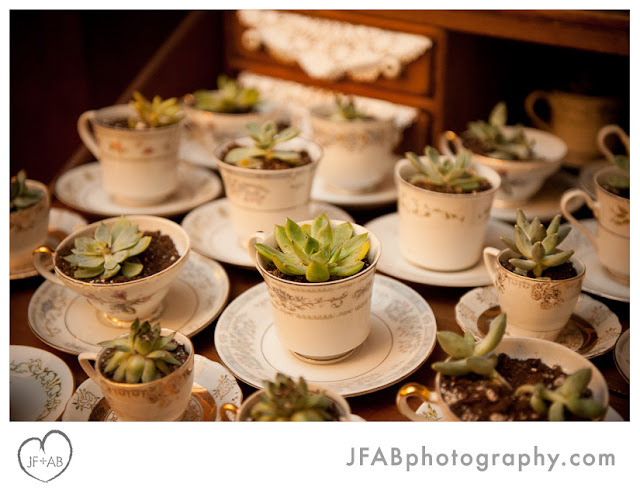 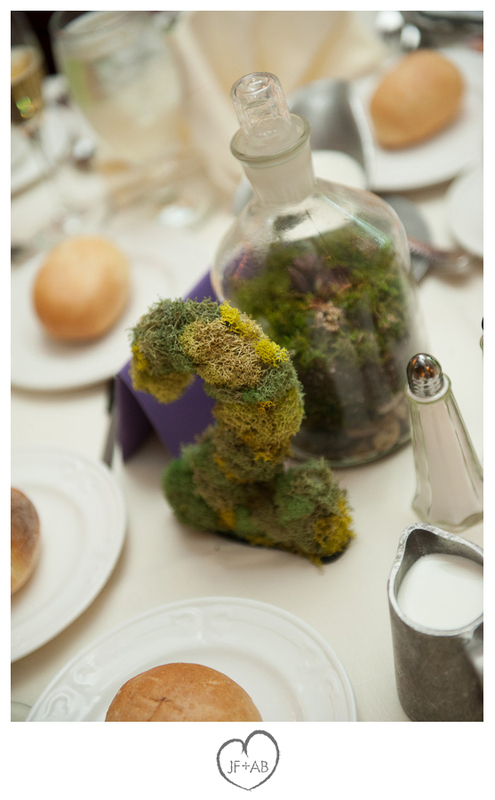 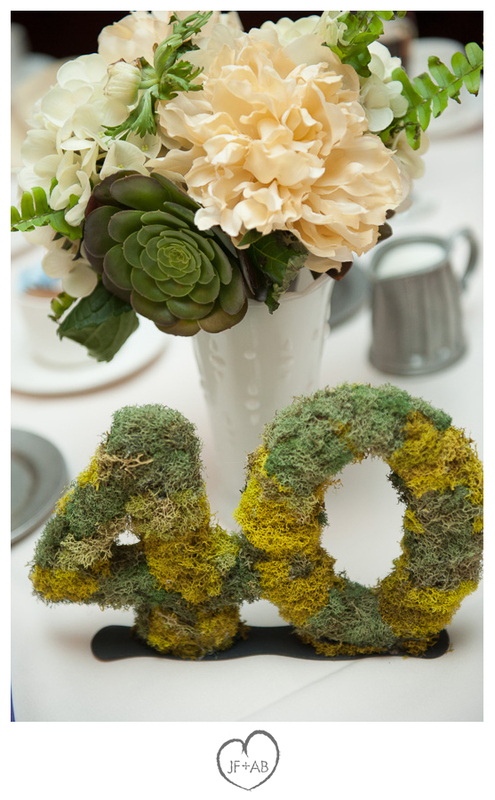 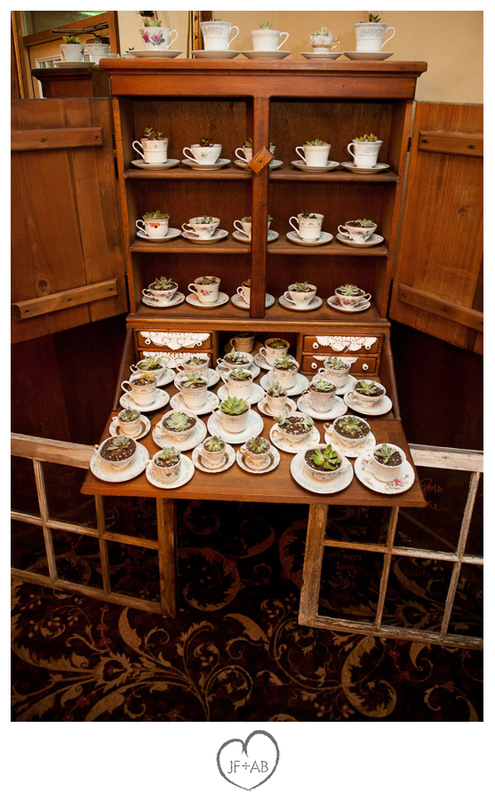 Wedding florals and terrariums by the bride. 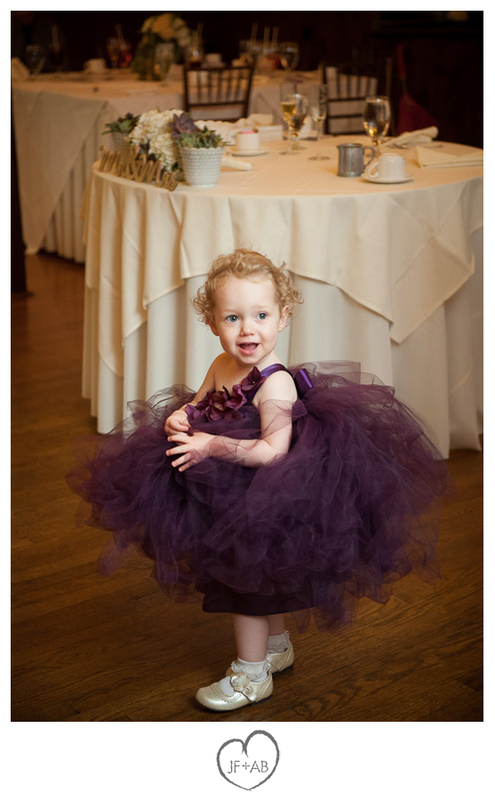 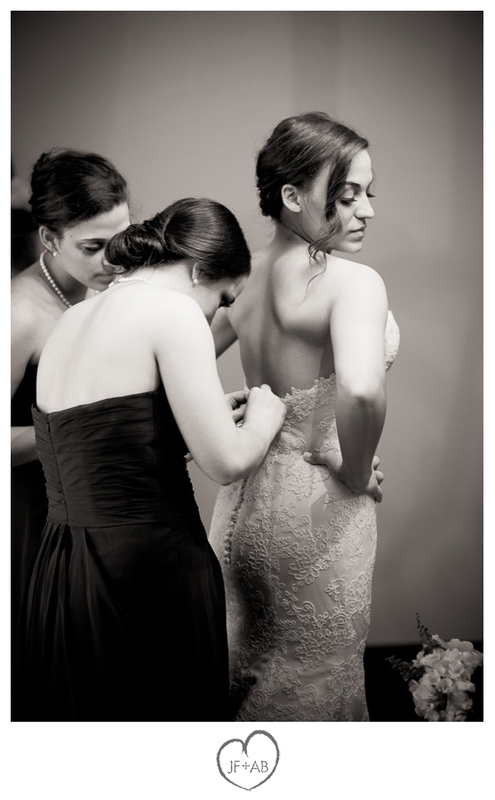 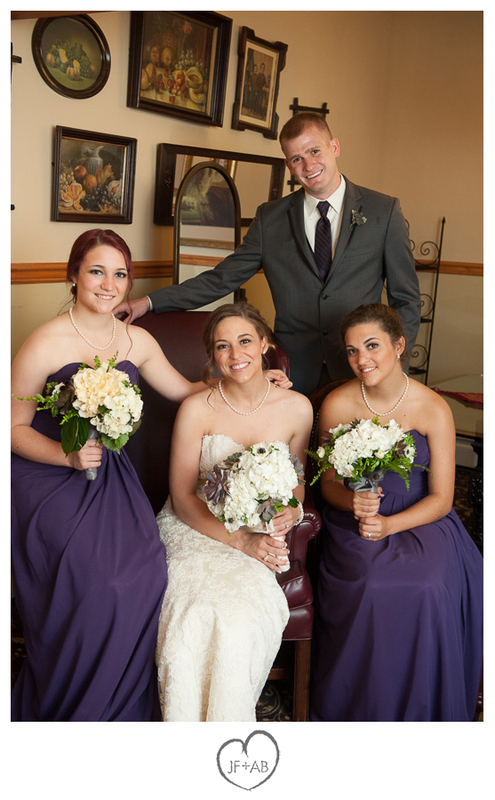 Bride and bridesmaids gowns by LaceMarry on Etsy. 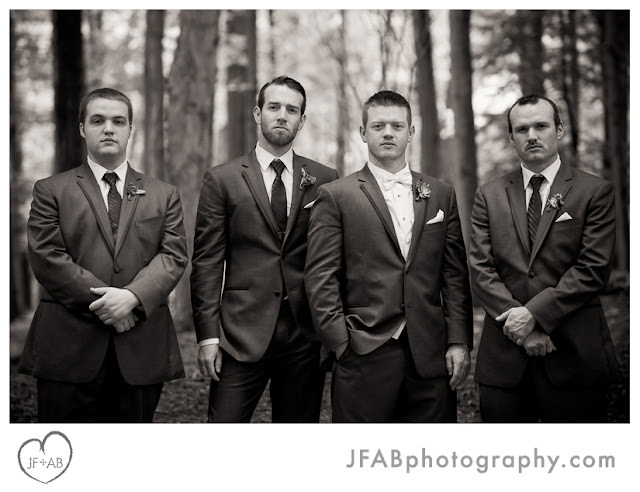 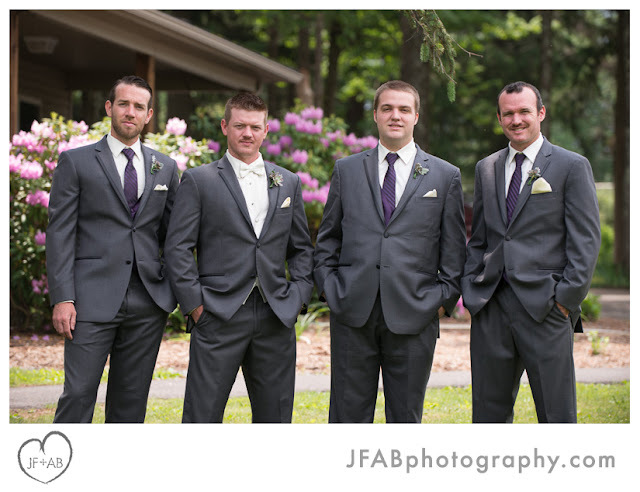 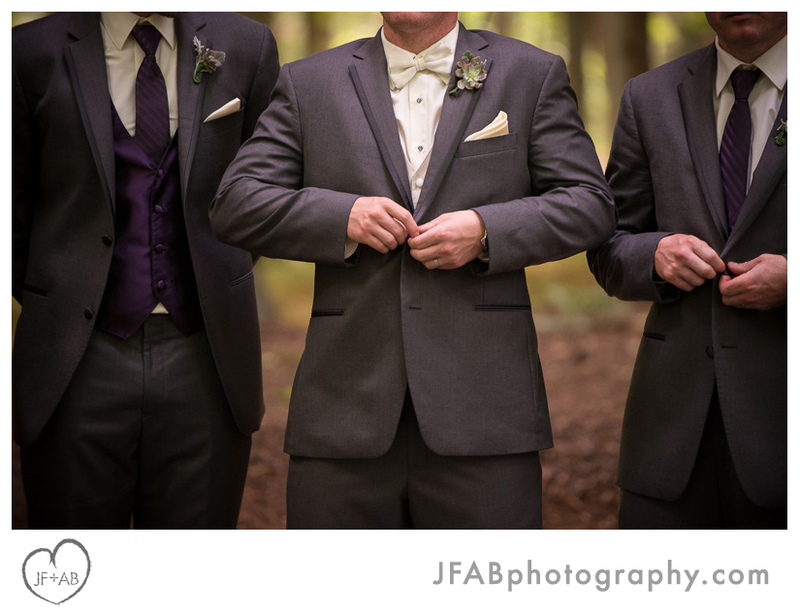 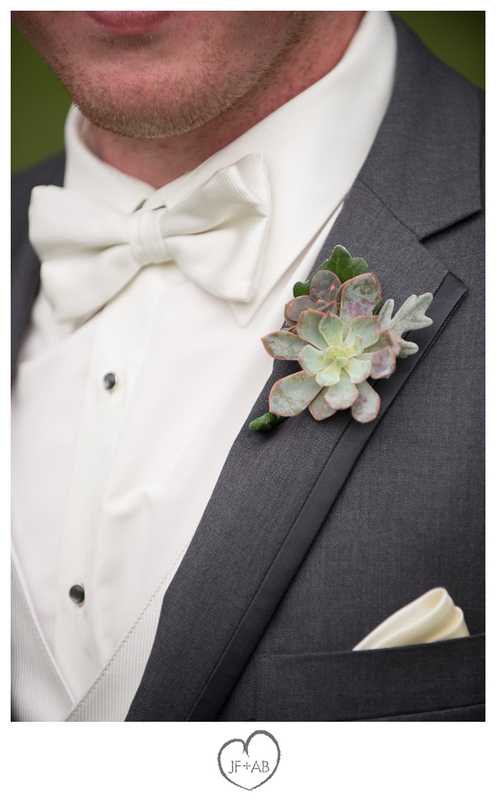 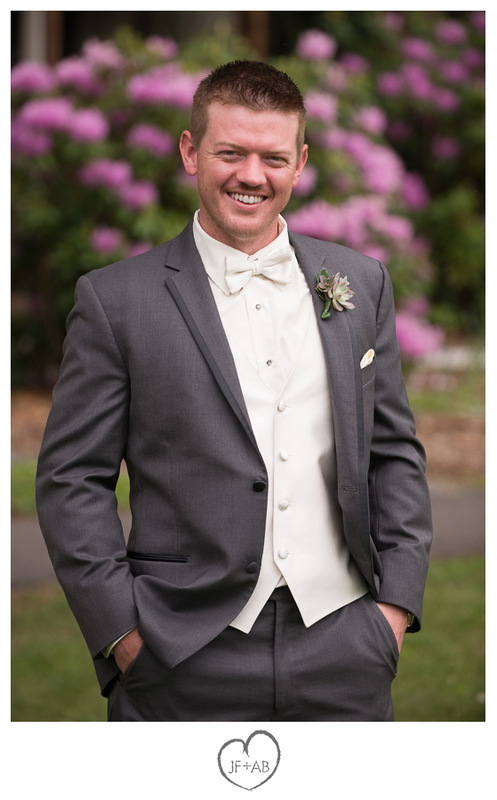 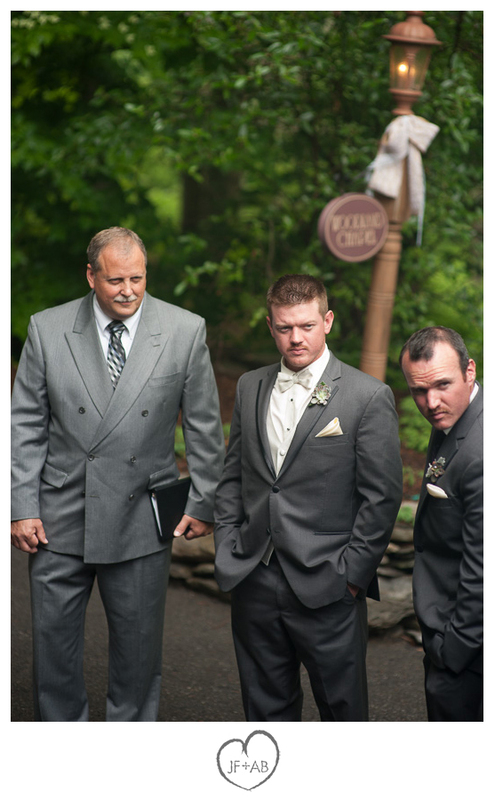 Groom and groomsmen's tuxes by Vera Wang Black. 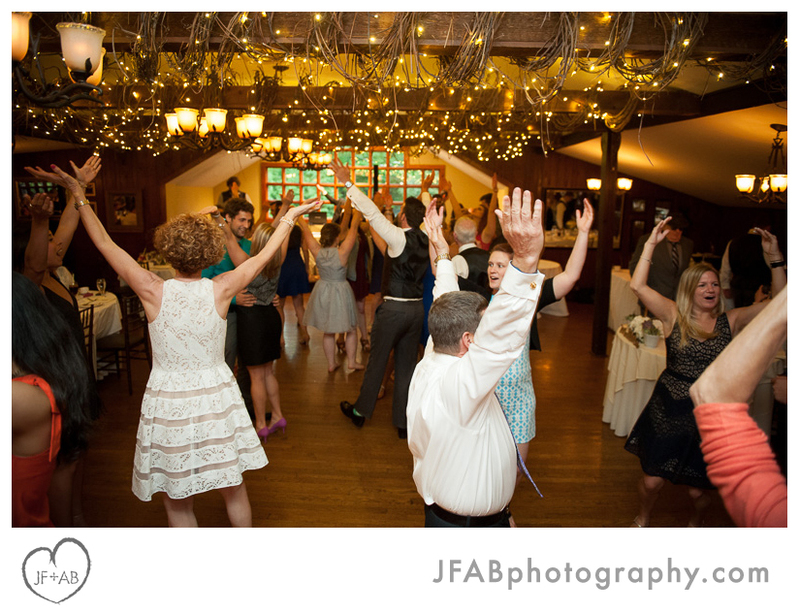 Entertainment by ABC DJ. 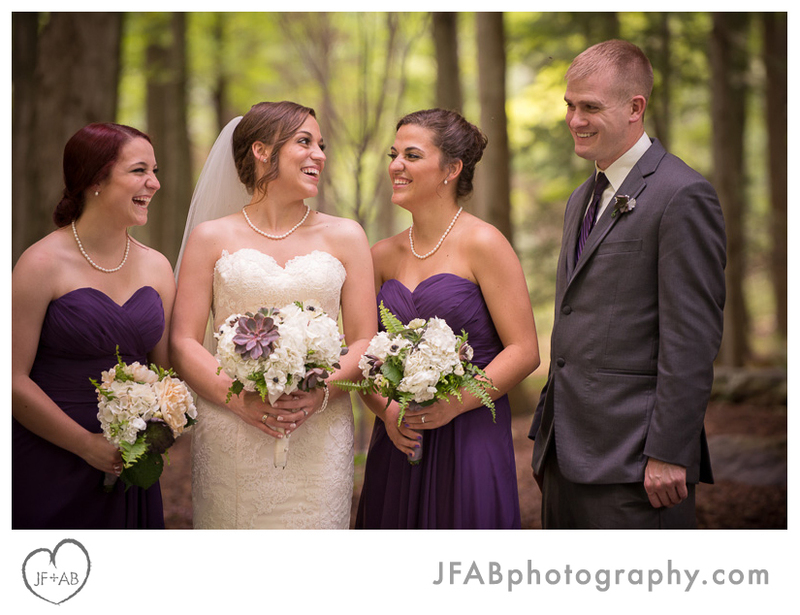 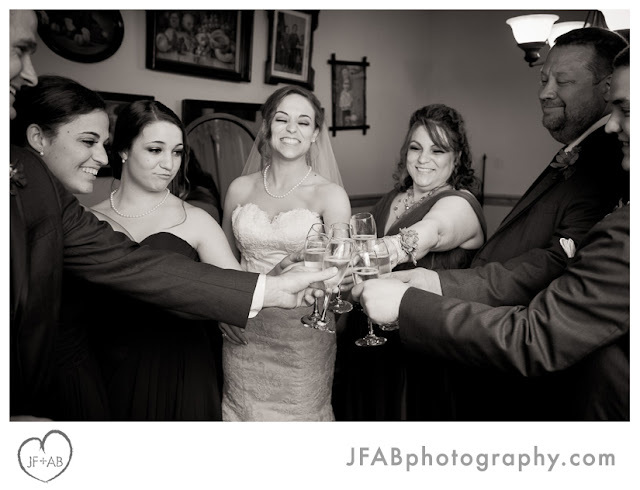 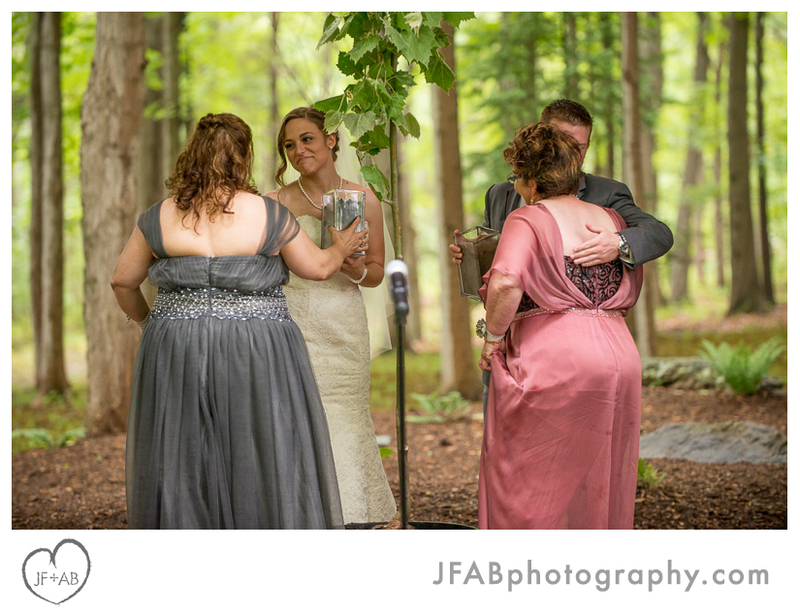 Sean and I cannot accurately put into words how thrilled we are with these pictures and with Josh and Amber! 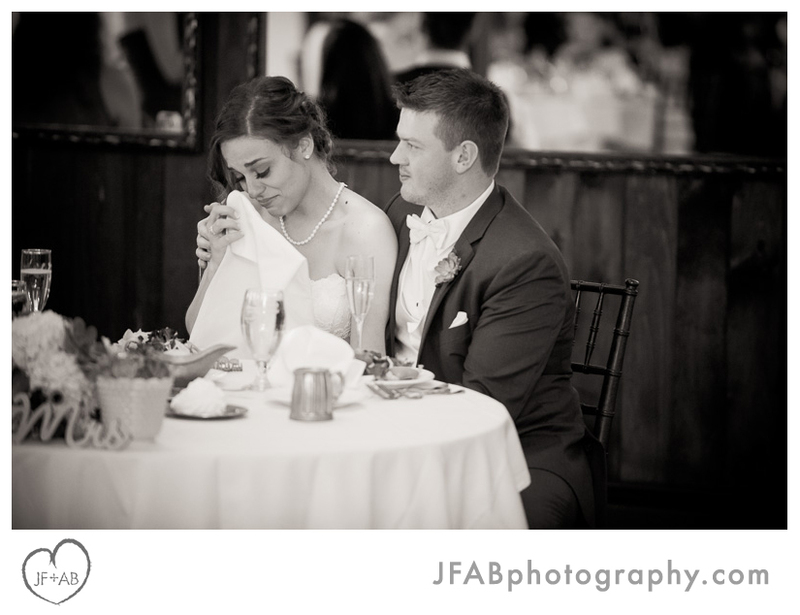 From the first meeting we knew they would be wonderful to work with, but we never dreamed of such a great experience. I've been in weddings with nightmare photographers and can absolutely, beyond a shadow of a doubt say that these two are so awesome to work with that any expectations we ever had have been blown out of the water. I mean just look at all of these fantastic shots!